As a founding partner of Farpoint Development, Regina Stilp brings her knowledge and extensive design successes to transform Chicago’s most forward-thinking properties. Formerly a Principal and Director of Design, Stilp has an extensive resume of honoring Chicago’s architectural past by repurposing obsolete buildings into highly desirable properties for future generations. Those buildings include 400 S. Jefferson, 1000 W. Fulton and 111 N. Canal which were transformed for tenants such as Hillshire Foods, Google, Uber, Twitter and Gogo. Laura Operti graduated from Clemson University with a Master of Architecture and has 25+ years of experience in architecture and interiors. Her portfolio includes a wide range of corporate interiors projects for client sectors including associations, financial, legal, insurance, medical, education and others. Laura’s creativity, attention to detail and commitment to delivering quality design services further enhance her technical skills. Bridgette Battle works with L.J. Sheridan & Co. as the General Manager for The Garland Building. 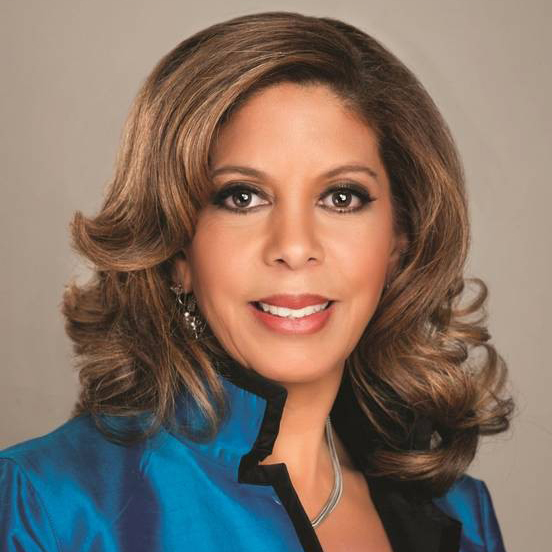 She has worked with some of Chicago’s premier real estate management firms assigned to high rise buildings, including CNA Building, The Streeter, 33 N. LaSalle and the Bank of America, 135 S. LaSalle. In these roles Battle has overseen a broad variety of capital improvements including façade, mechanical, electrical and elevator issues, as well as a multitude of tenant improvement projects. 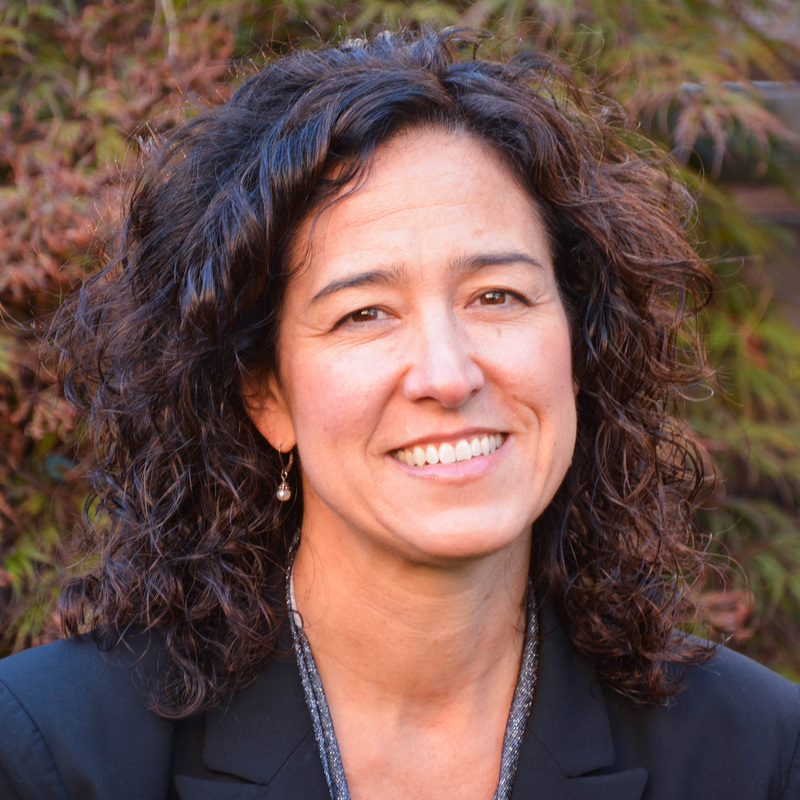 Angela Aeschliman leads the firm’s ongoing development of the property management team. She is steadfast in enhancing the value of the firm’s portfolio by focusing on tenant retention and utilizing proven management techniques to implement innovative efficiencies for partners, owners, tenants and teammates. Aeschilman is currently the President of IREM Chicago Chapter #23. Dan Brown founded Brown Commercial Group, Inc. in 2004 as a boutique commercial real estate firm serving the needs of Chicago’s suburban landlords, investors, and tenants. He has extensive experience working with businesses to help them evaluate their real estate needs, identify space requirements, assess building logistics and amenities, and secure financing sources. He is frequently called upon to provide strategic advice for companies looking to manage their real estate holdings as it relates to business expansion, consolidation and long-term growth planning. 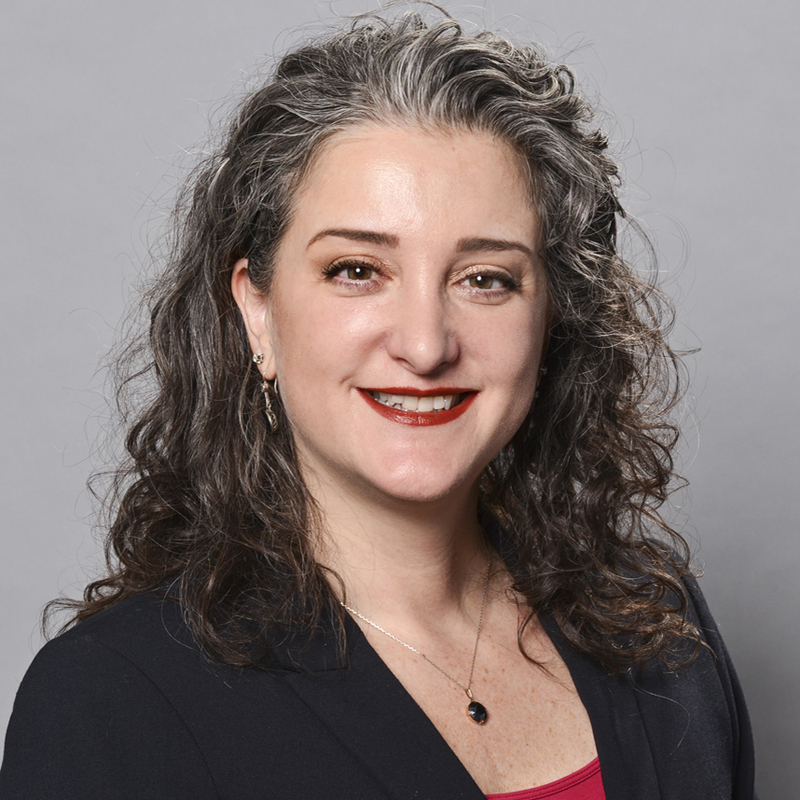 Danielle Drabkin has ten years of real estate finance experience working for major real estate developers and REITs, including Equity Office and Vornado, two of the country’s largest REIT’s. She also spent two years working within the Private Wealth group at Credit Suisse, focusing on alternative investments, particularly real estate investing. 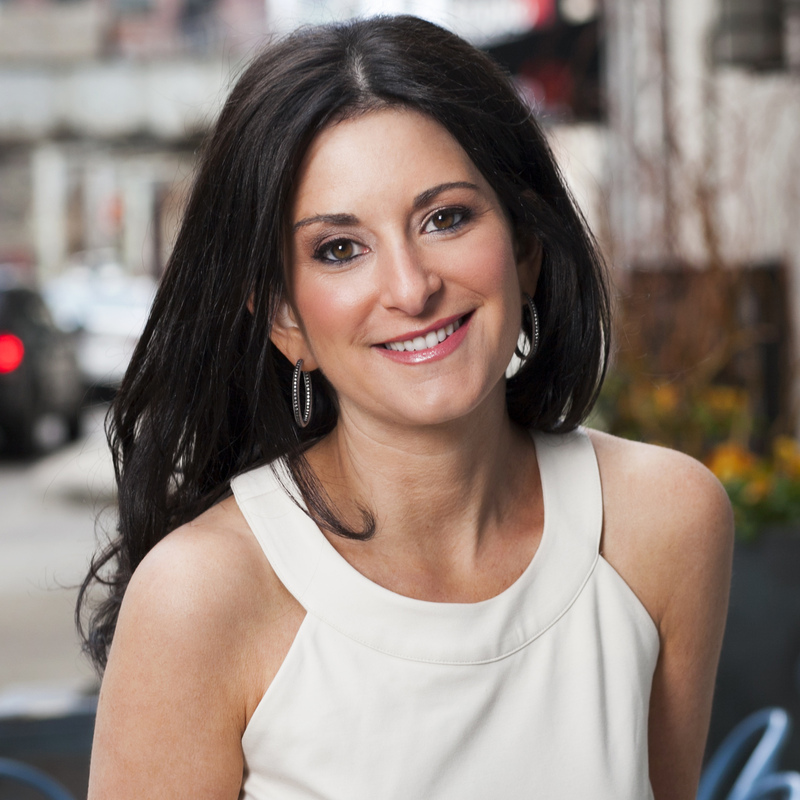 She is a Managing Partner of a Chicago-based technology startup, The Minte. This national platform, focused on Real Estate Technology and Hospitality, works with large property managers and owners across North America. Jeanne Darrow Peck is a Director of Mortgage Banking at Berkadia (a Berkshire Hathaway and Leucadia National company). Since joining Berkadia in 2011, Jeanne has originated $500MM in Fannie Mae, Freddie Mac, Life Insurance Company, Mezzanine Debt and Equity transactions. 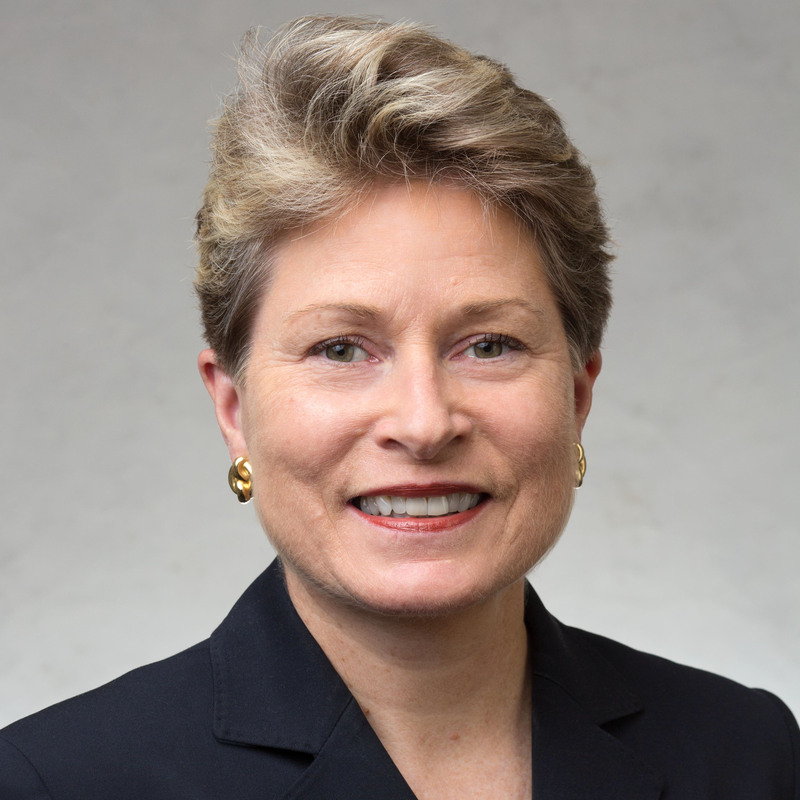 Having worked at Fifield Companies, PGIM and GMAC Commercial Mortgage, Peck has financed over $3 billion of commercial real estate through acquisitions, permanent and construction loan originations, and mezzanine debt/joint venture/preferred equity placements over the span of her 23-year career. 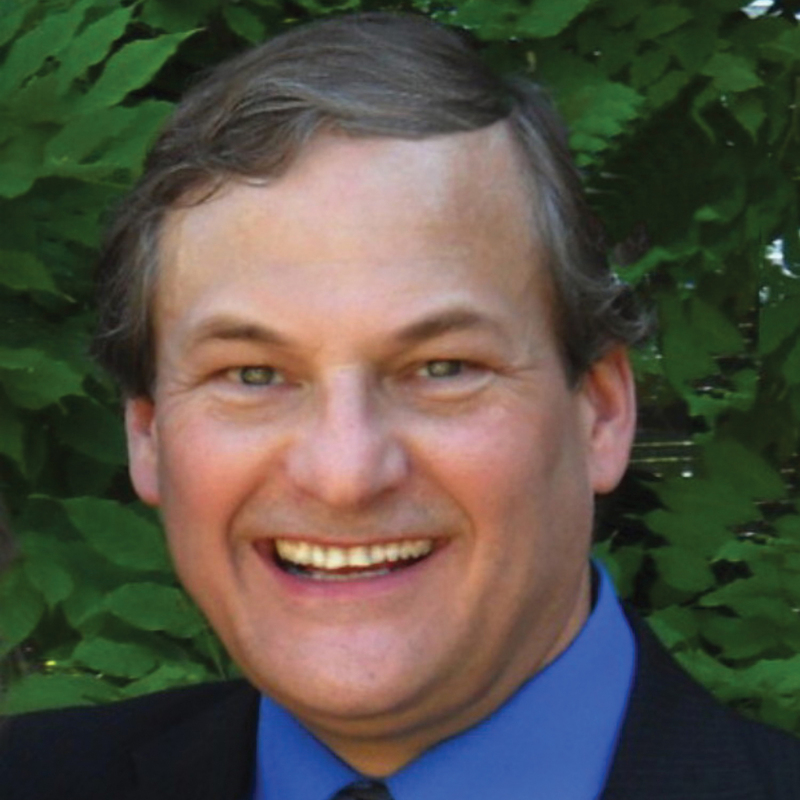 Steve Caton, CCIM, CIPS is a commercial broker and Principal at Caton Commercial Real Estate Group, Naperville, IL. Since 2003, Caton’s primary areas of focus are real estate investments, acquisitions & dispositions, land development, and commercial leasing. He has represented REO Assets for Wells Fargo, Inland Bank, MB Financial, Private Bank & Princeton National. Caton represents national multi-family developer Continental Properties for their acquisitions in Chicagoland. Steve recently partnered with the Co-Living Company, Medici Living Group, in their Chicago and Midwest expansion. 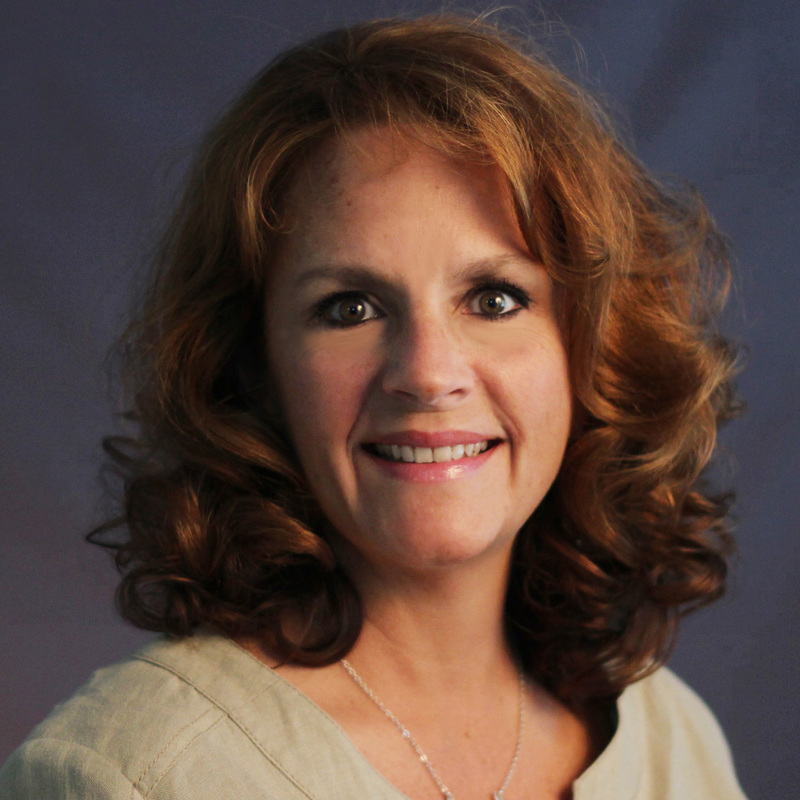 Deena Zimmerman is an award-winning broker who has worked in the real estate industry since 2004. Serving as a vice president in the SVN Chicago office, Zimmerman specializes in the sale and leasing of retail, investment and development properties with a strong focus in tenant representation. She is adept at finding high quality sites throughout Chicagoland and surrounding areas for national operators, franchisees, and first-time entrepreneurs. Zimmerman brings a consistent, positive, upbeat attitude with an honest and straightforward approach to each and every assignment. 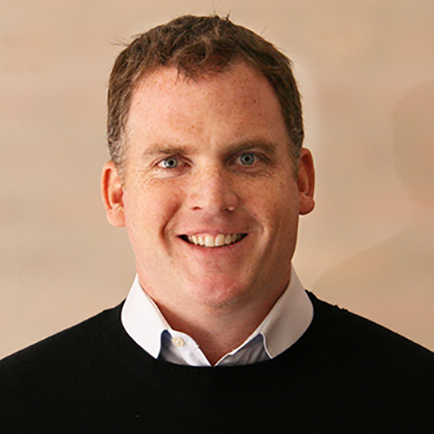 Kevin D. Matzke is the co-founder and Managing Principal of Clarius Partners, LLC, a Chicago-based developer of infill and suburban industrial, office and medical projects in Illinois, Arizona, California, Utah, Pennsylvania and South Carolina, with overall development budgets of $950 million. Prior to forming Clarius, Kevin worked for Hines, Catellus, Prologis and Higgins. Kevin has an undergraduate degree from the University of Colorado’s School of Architecture and Planning and a graduate degree in Construction Engineering and Management from the University of Michigan in Ann Arbor. 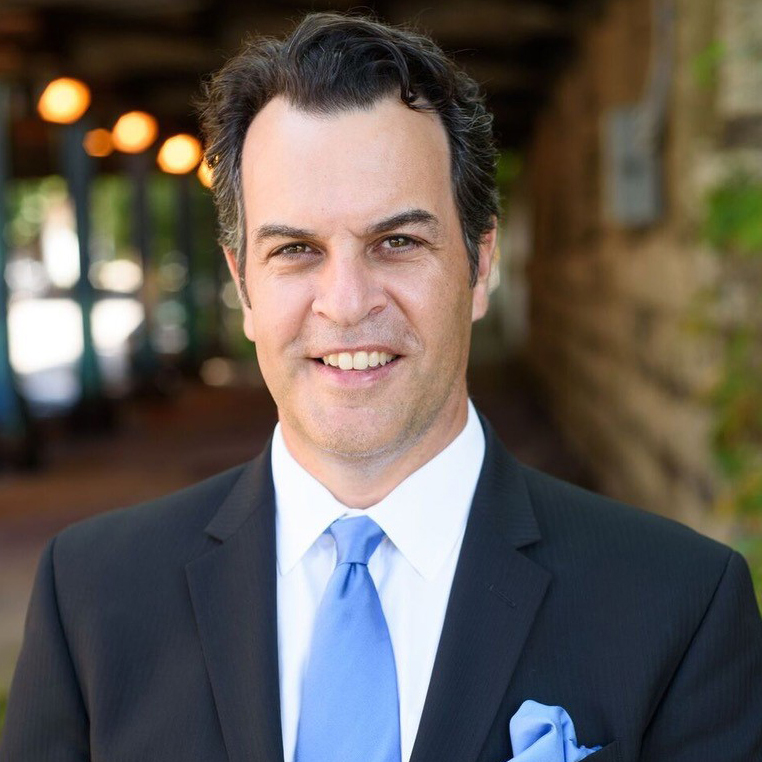 Adam D. Roth is an Executive Vice President, Partner at NAI Hiffman and specializes in industrial real estate including land assemblage and development, tenant representation and building sales. 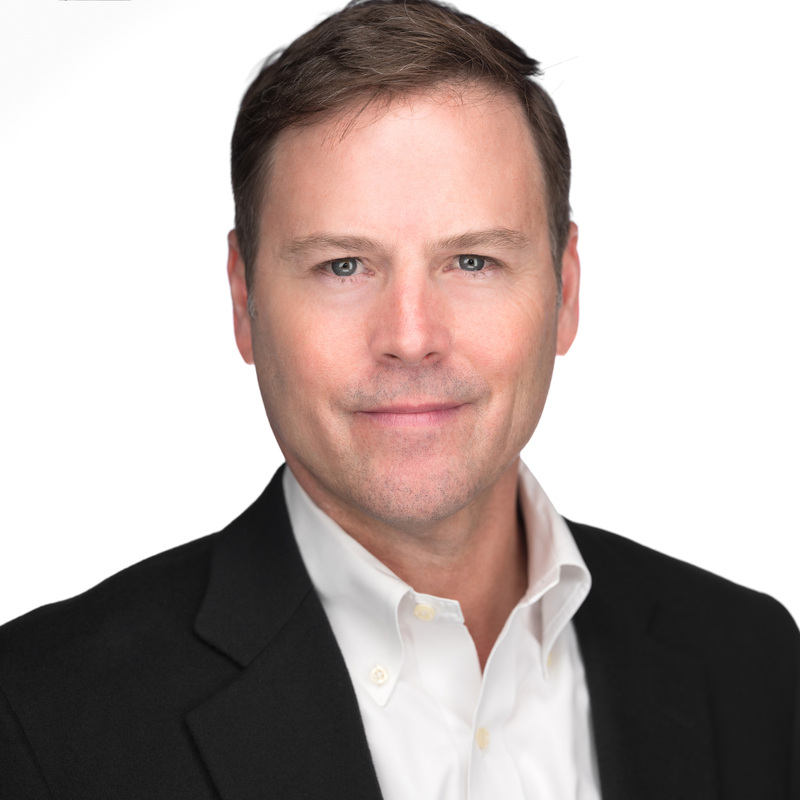 As a Director of NAI Global Logistics, he provides real estate, transportation and supply chain solutions to distribution, warehouse and e-commerce companies throughout the world on matters including corporate relocation, site search analysis, build-to-suit alternatives, acquisition, disposition and leasing services. Over the last decade, Adam has received many distinguished industry awards for his achievements. Elizabeth L. Gracie has 30 years of experience representing developers, owners and managers of office, retail and hotel properties in matters of property taxation, including incentives. She has extensive experience analyzing the Chicago real estate market and was instrumental in compiling the firm’s extensive property database tracking property tax-related data. This database is used as evidence in appeals and as a basis for projections in budgeting, leasing and acquisitions. 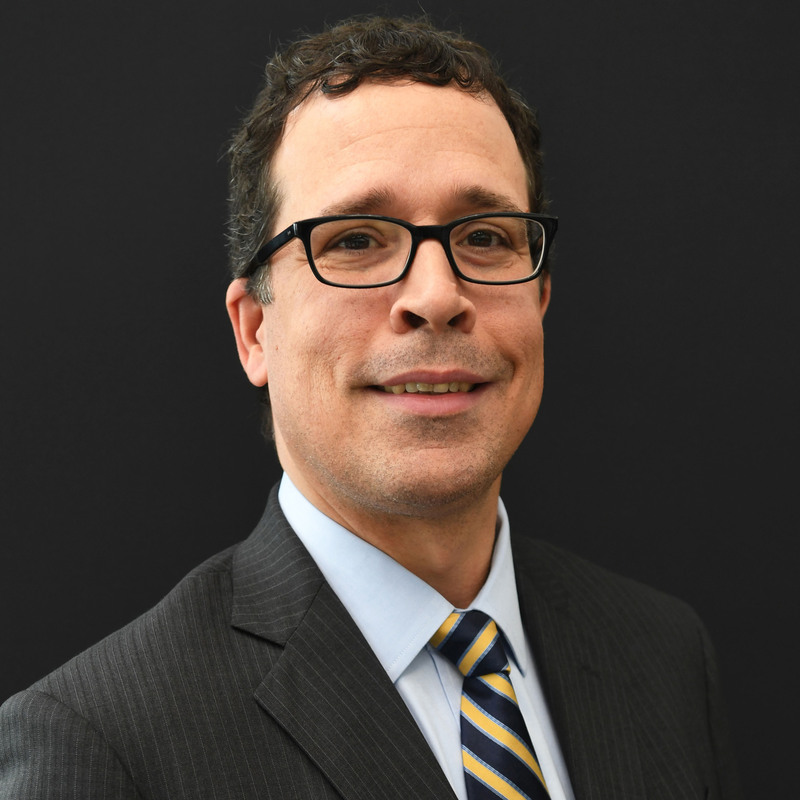 Kevin Hynes is an equity member of O’Keefe, Lyons & Hynes, LLC and focuses his practice in property taxation, litigation, environmental law, and government relations. Kevin represents a variety of clients at all levels of the property tax appeal process in Illinois, Wisconsin, and Missouri. 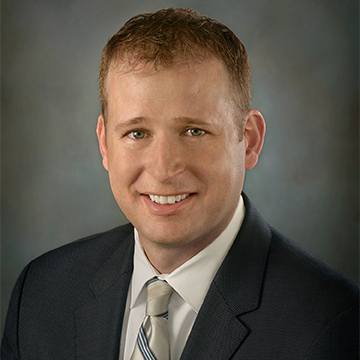 Before joining the firm in 2003, Kevin was Assistant Counsel to the Speaker of the Illinois House of Representatives. Kevin was an attorney in the Chicago office of Schiff Hardin LLP. He also served in the U.S. Department of Justice and the Illinois Attorney General’s Office. 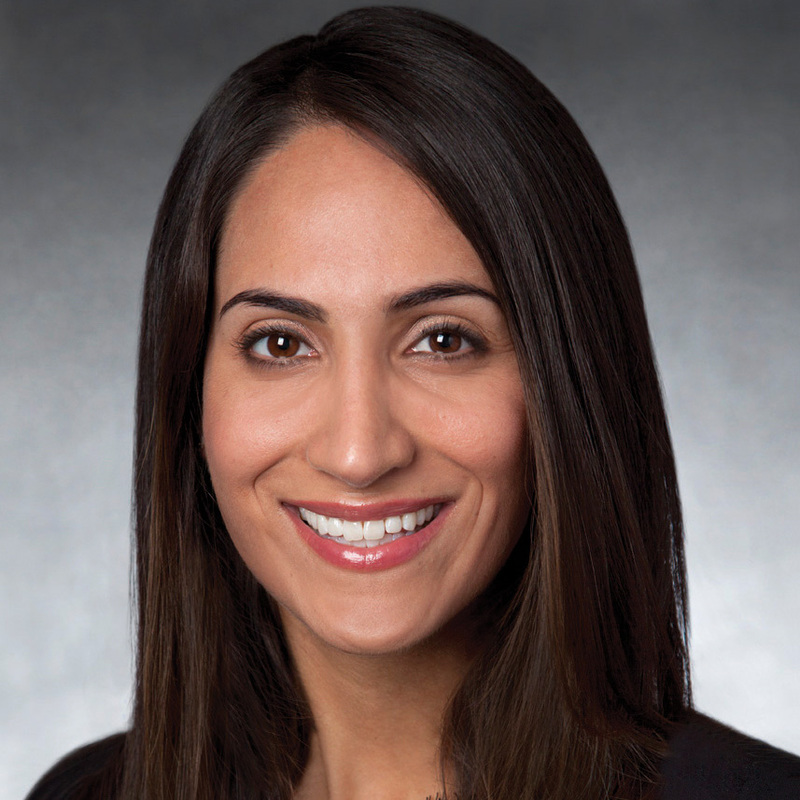 Nooshin Felsenthal is a Managing Director in JLL’s Chicago office with more than 13 years of experience in commercial real estate, including investment sales and equity placement. She specializes in the disposition and recapitalization of investment real estate located in Chicago and throughout the Midwest United States. During the course of her career, Felsenthal has executed in excess of $8 billion of investment sales transactions. 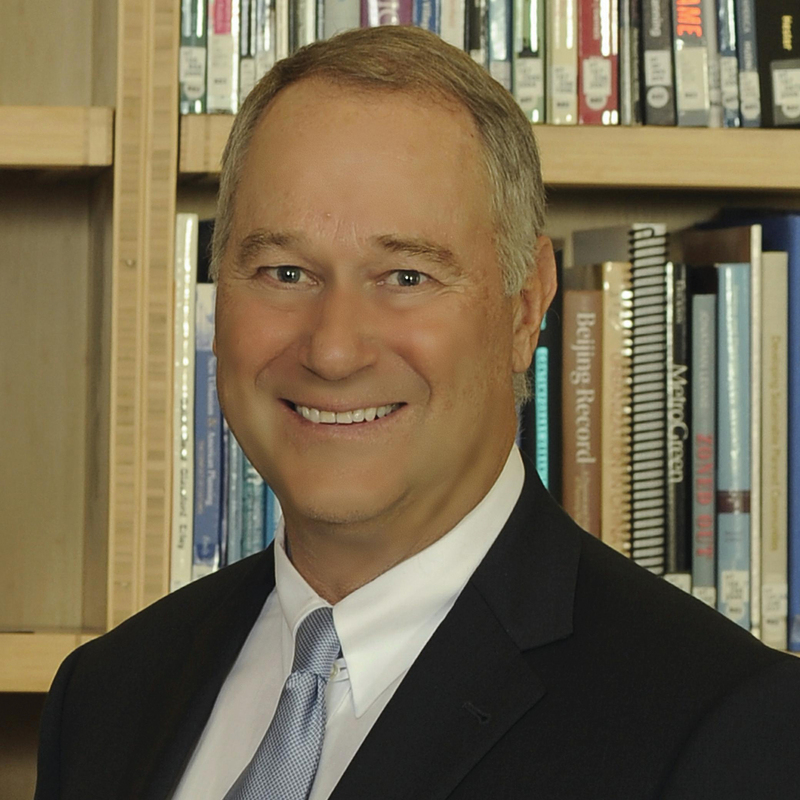 Felsenthal has received degrees from Northwestern University’s Kellogg School of Management and the University of Wisconsin. Egan focuses primarily on expanding the Americas Industrial Research team’s insight generation and market intelligence to help guide real estate strategies, identify risks and validate decision-making, and serves as the CBRE spokesperson on the industrial real estate environment. 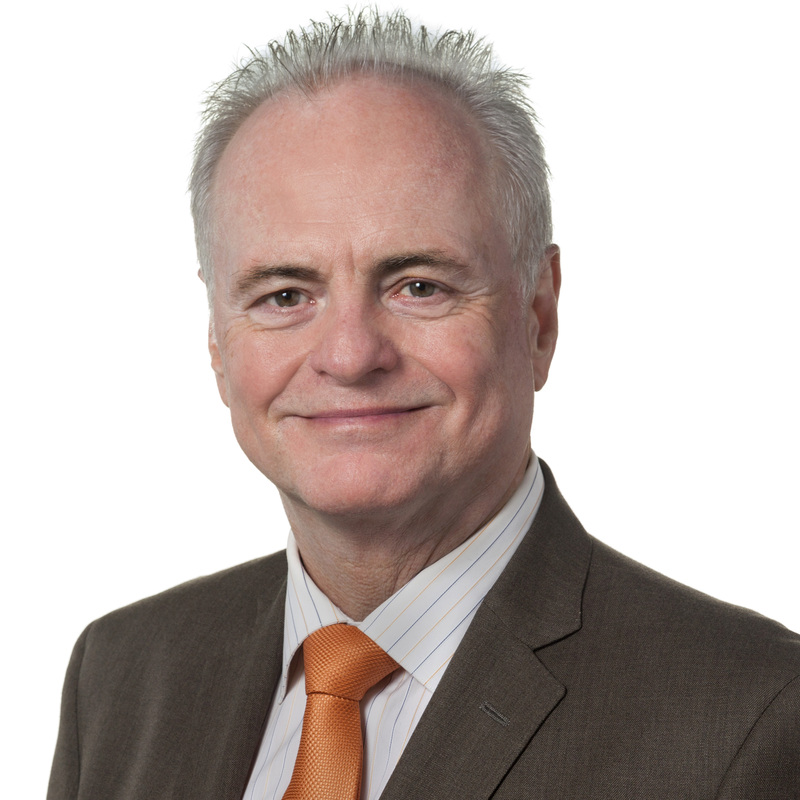 David has developed and owned the Industrial thought leadership agenda and has been responsible for the production of major reports touching topics crucial to the industry including e-commerce, ports and logistics, and development trends. 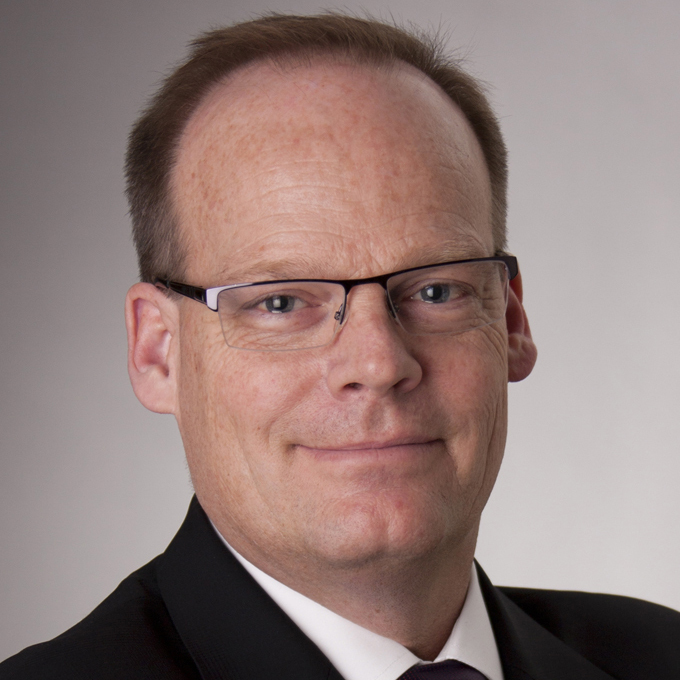 Randy Waites joined Avison Young in 2015 as a Principal, specializing in asset management services. 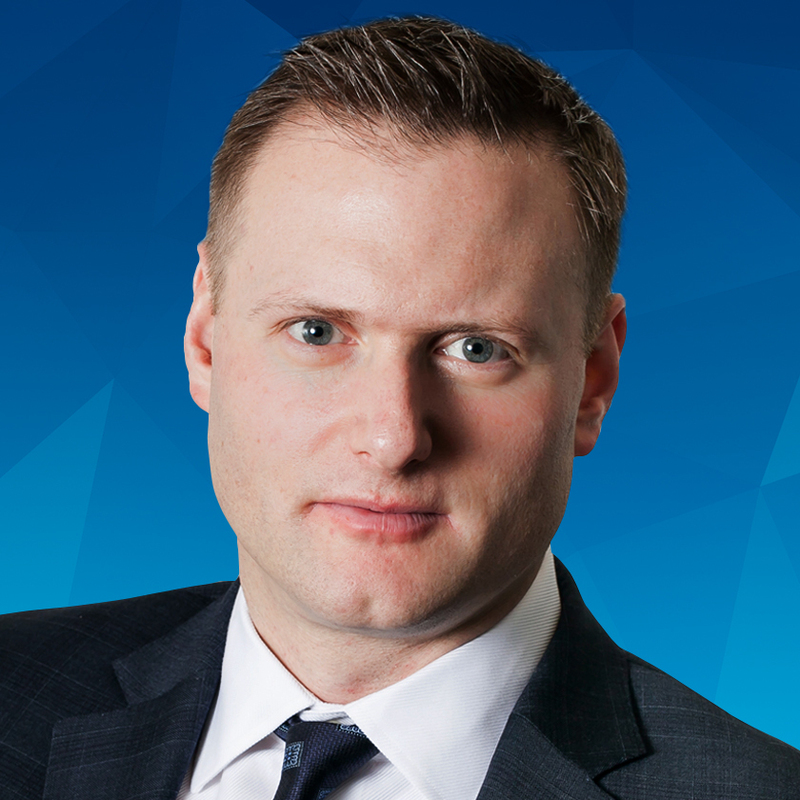 He oversees property and asset management operations within the Chicago market and assists with investment and portfolio management efforts across North America. 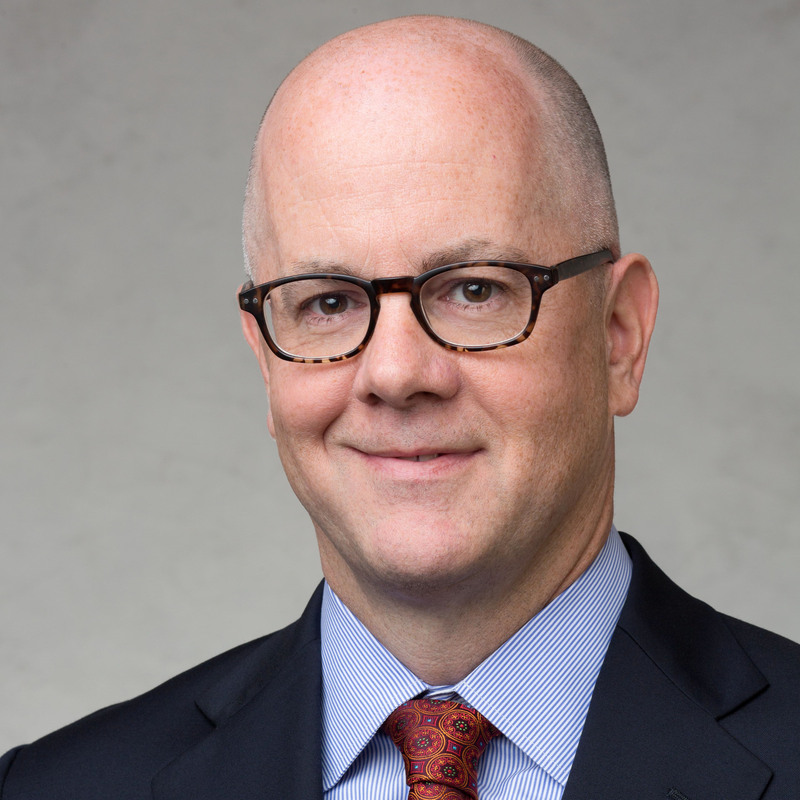 He has been instrumental in expanding the firm’s Chicago management footprint by more than 500%, adding marquee assets such as the Hancock Center retail operations and the historic Sullivan Center. 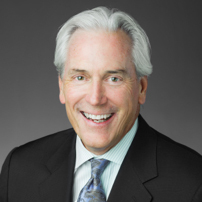 He previously held executive level positions with Cushman & Wakefield and The John Buck Company. 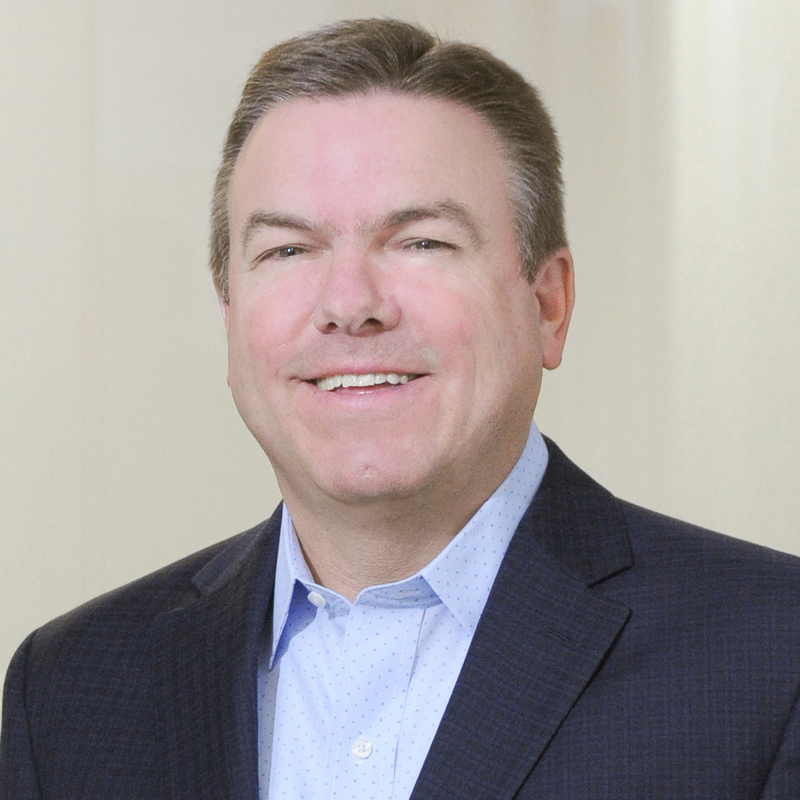 Clayton McCaffery leads and is responsible for the identification and coordination of strategic acquisitions in alignment with the company’s goals. With a real estate career spanning more than 21 years, Mr. McCaffery previously led the firm’s leasing and development teams for more than 15 years; prior experience included tenant and landlord representation work with Mid-America Real Estate Group in Chicago and Liberty Greenfield in Denver. 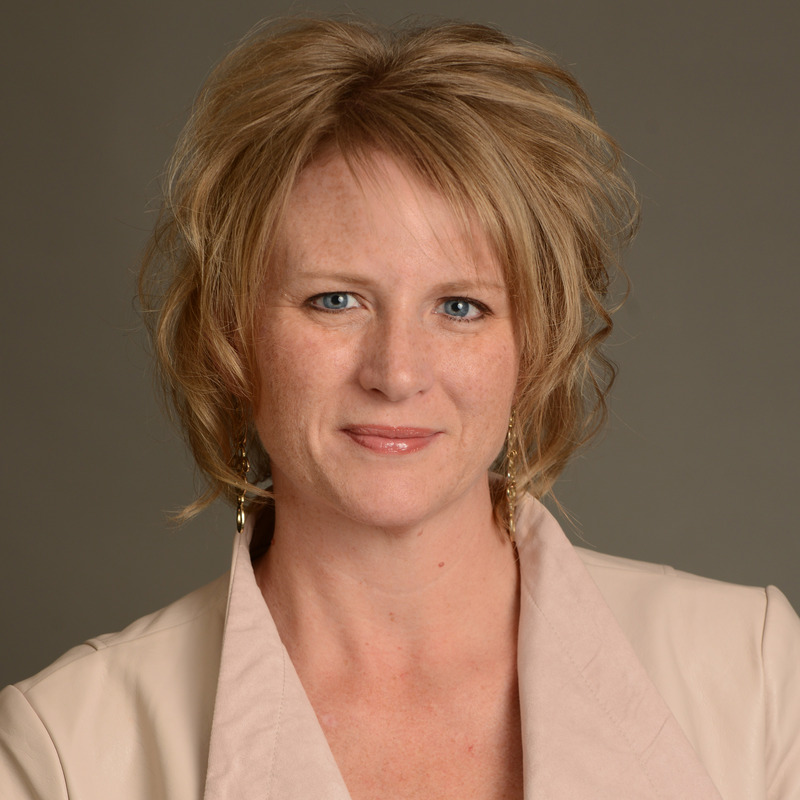 Clayton holds an MBA from the University of Colorado, Boulder and a B.A. from Colgate University. 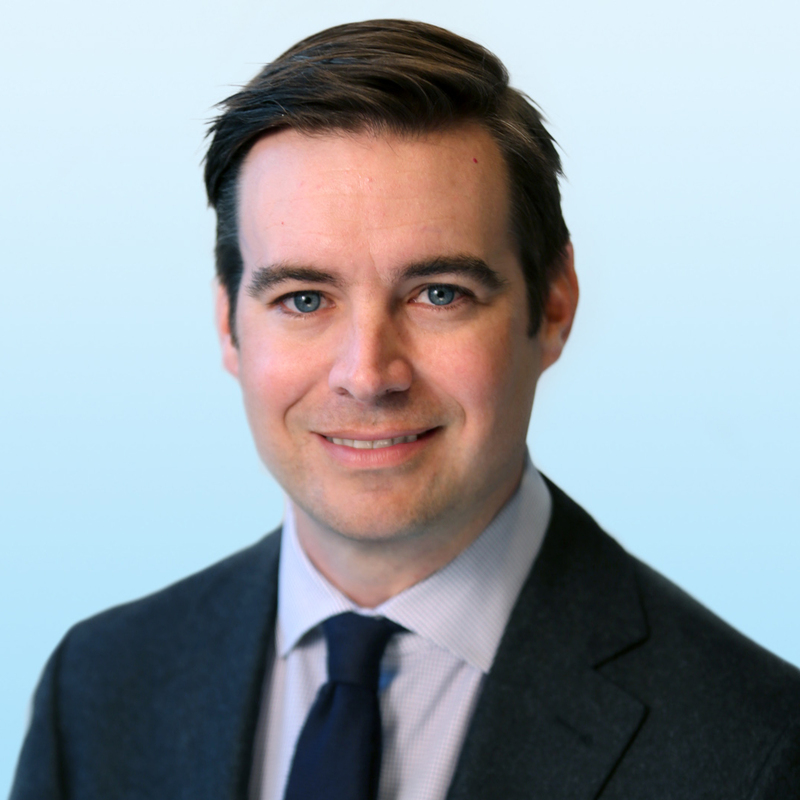 Frederick Regnery is a principal at Colliers International | Chicago, national director of the firm’s national Industrial Advisory Group, and a member of the Executive Committee. Fred provides corporate real estate solutions to many of Colliers' largest national clients including Best Buy, Ulta, Bridgestone and KeHE. As one of the top annual producers across all of Colliers' service lines, Fred was the firm’s number one industrial professional in North America for 2015. Fred is the outgoing president of the NAIOP Chicago Chapter. 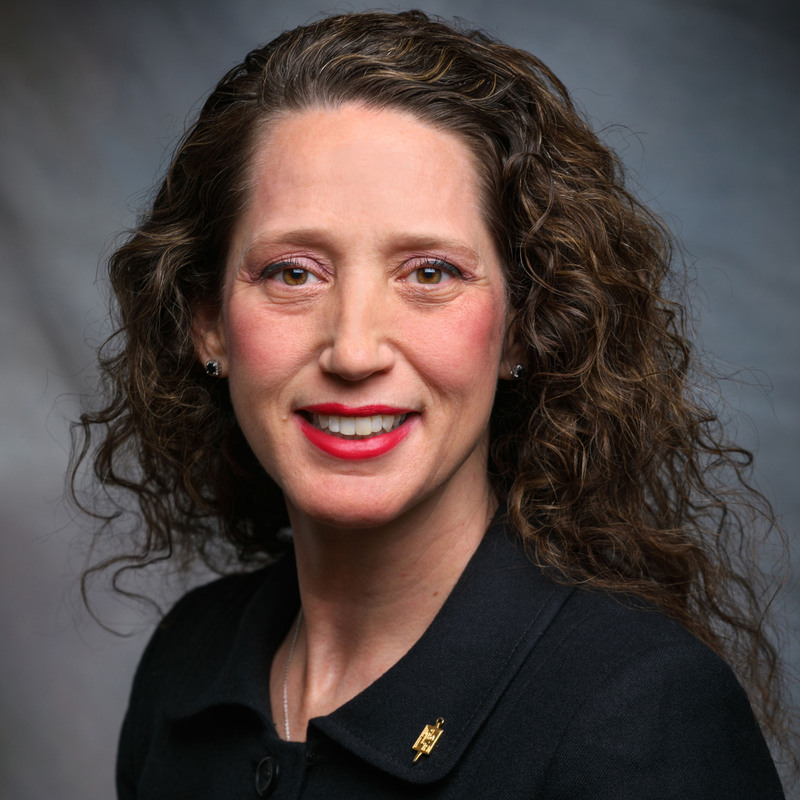 Tammy Kelly, CCIM, CPM, is Senior Vice President of Asset Management for Redwood Capital Group, a fully-integrated real estate investment platform that focuses on the acquisition and asset management of multi-family real estate. With 19 years of commercial real estate experience she is responsible for the oversight of its $1 Billion portfolio, including budgeting, capital expenditures, and strategic dispositions. Kelly also assists with sourcing and underwriting the firm’s new investments. She is a director on the board for CREW Chicago. Bob Dahlgren leads the Property Management Division at Podolsky | Circle, including oversight of all management personnel. He is responsible for the firm’s office, industrial and retail property management disciplines that include ownership and tenant relations; building inspections; annual operating budgets; bidding and letting vendor contracts; and risk management. Dahlgren has worked for such illustrious companies as The John Buck Company, Hines, Equity Office Property Trust and Bridge Development. 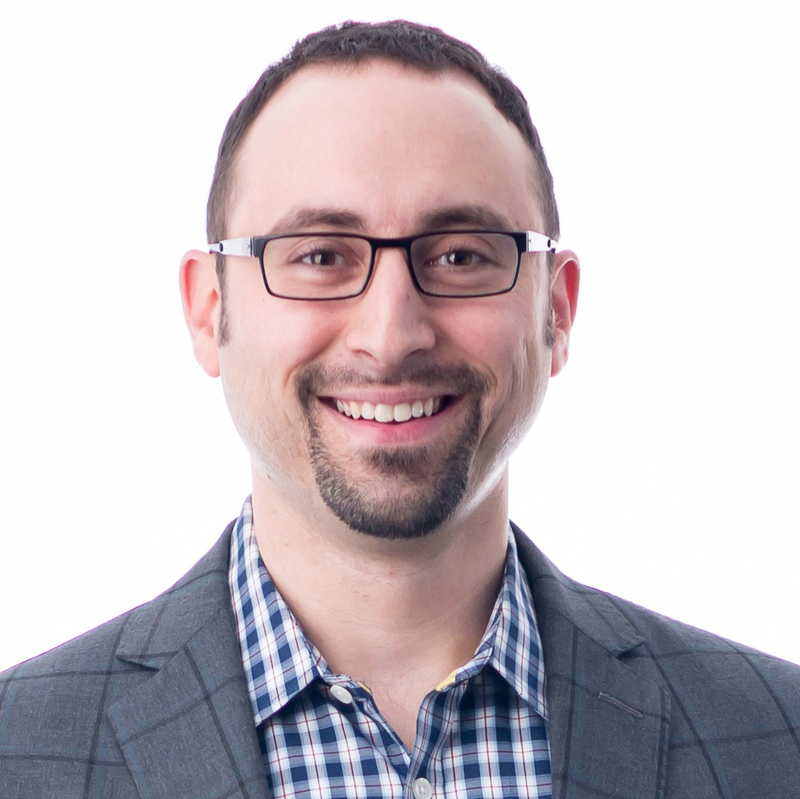 Justin Pelej is Vice President of Development at Focus, where he runs the development team, oversees all active projects and supports new property acquisitions. Pelej joined Focus in 2005 to manage the leasing and construction of the retail portion of Sherman Plaza, a 29-story, 608,500 sf mixed-use development in downtown Evanston. Since that time, he has been responsible for a variety of developments valued at over $600 million and ranging from high-rise residential projects to complex mixed-use, infill developments. 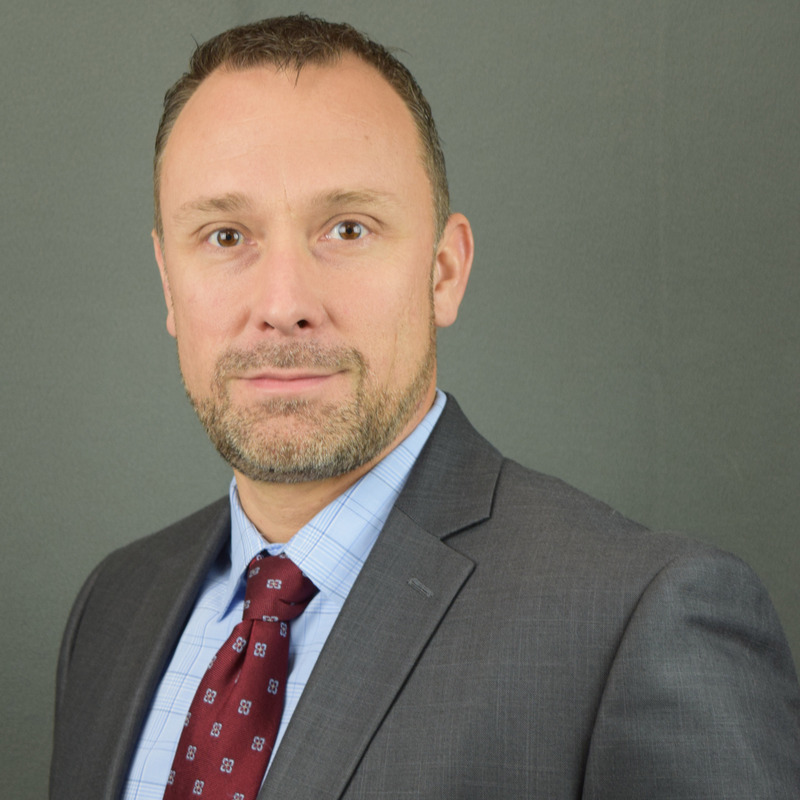 Derrick Johnson joined Zeller Realty Group in 2001 and was promoted in 2014 to oversee the management of Zeller’s Chicago and Indiana properties. Johnson provides supervision and direction to assist the Property Managers in making decisions at the various properties which includes both owned properties and third-party management assignments to ensure consistency of services and reporting throughout the region. His responsibilities include directing, reviewing, writing and submission of business plans, operating budgets and support schedules for all properties. Scott Howe is a Senior Vice President and one of six partners at Solect Energy, where he is responsible for Sales & Market Development. Since joining Solect in 2011, Scott has been instrumental in advancing Solect to a market leadership position in solar energy. 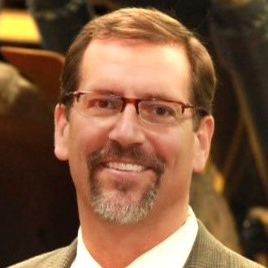 Scott brings 34 years of experience in global sales, marketing, and channel development. Prior to joining Solect, Scott spent 24 years at Rockwell Automation, where he held various senior sales and marketing positions. 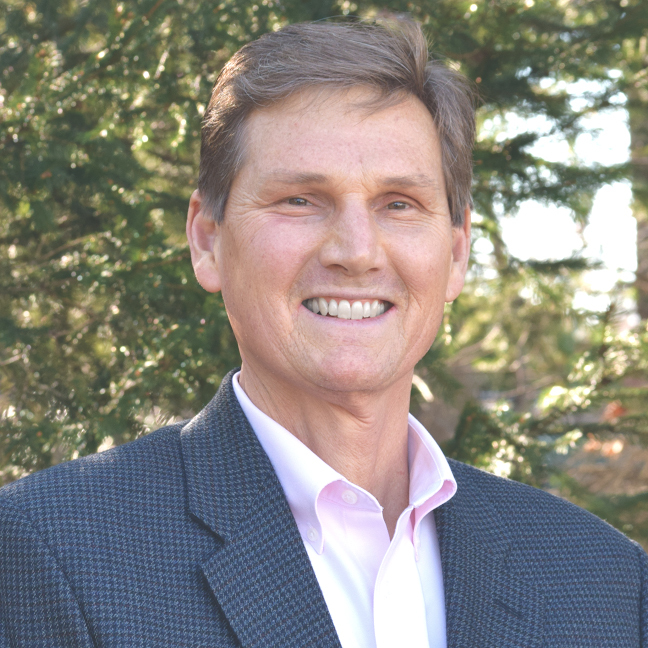 The founder and president of Bennett Commercial, LLC, Jeff Bennett has 35 years of experience in community and real estate development. His merger with McColly Real Estate created McColly Bennett Commercial: a full-service, geographically-based real estate company affiliated with Leading Real Estate Companies of the World and providing local connection with global reach. Bennett’s broad experience includes land acquisition and assemblage, industrial, commercial and residential land planning, affordable housing development, tax incentive procurement and property management. 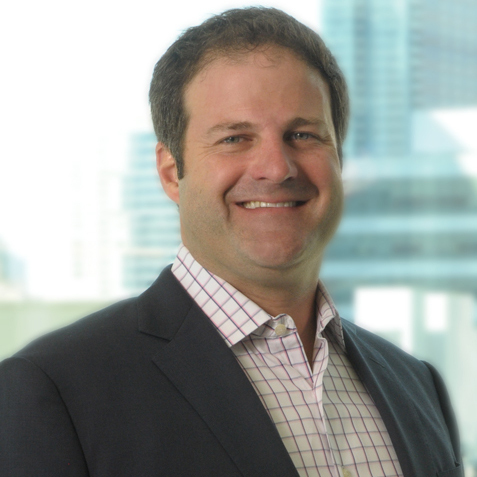 Geoffrey M. Kasselman serves as an executive managing director in Newmark Knight Frank’s Chicago office, and leads its North American Industrial Practice. He guides the direction of the firm’s industrial brokerage capabilities, including supporting various data center projects and promoting the benefits of sustainability, technology and innovation. Kasselman focuses on providing strategic solutions such as deal restructuring, portfolio analyses and operational and energy efficiency. Michael W. Brennan is a Co-Founder, Chairman, and Managing Principal of Brennan Investment Group. He has orchestrated more than $10 billion in industrial real estate transactions in the course of his 30-year career. Prior to forming Brennan Investment Group, Brennan co-founded First Industrial Realty Trust (NYSE: FR) in 1994, and served as President, Chief Executive Officer and a member of the Board of Directors until late 2008. Under his direction First Industrial assisted many of the nation’s largest industrial users in completing complex supply chain reconfigurations. 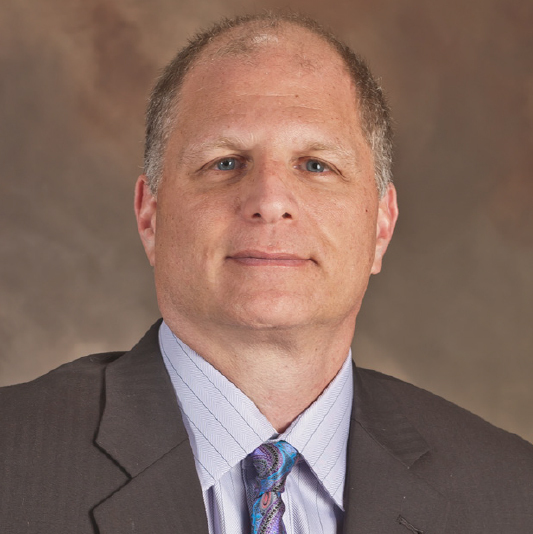 Randy Blankstein is the founder and President of The Boulder Group, a boutique investment real estate services company that specializes in single tenant net leased properties. 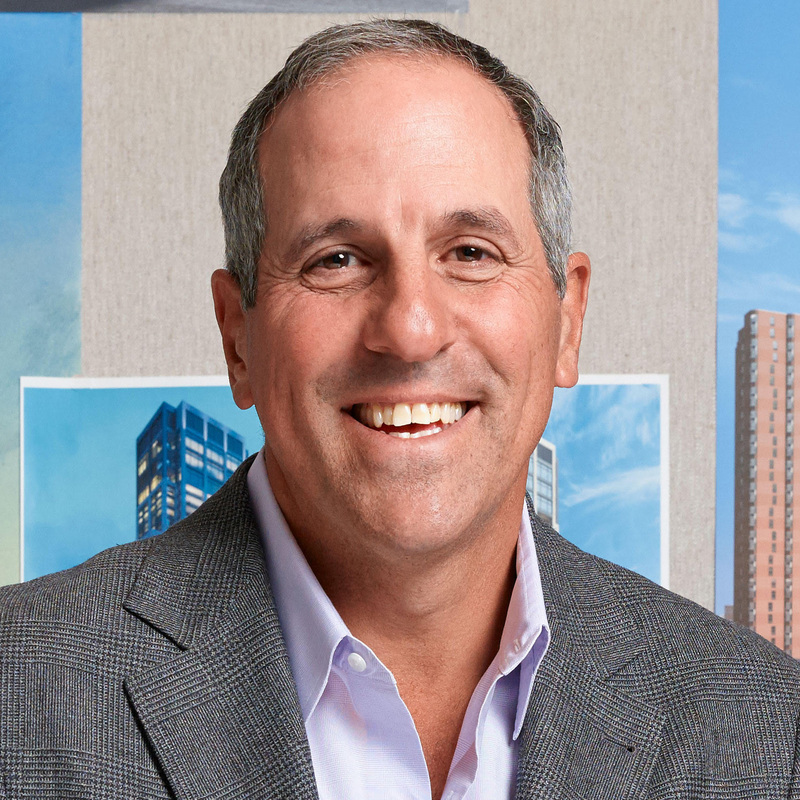 Blankstein is recognized nationally as a leader in the net lease market and has personally arranged in excess of $3 billion in net lease related acquisitions and dispositions in his 27 year real estate career. Randy received honorable mention for the 2014 Net Lease Executive of the Year by Commercial Property Executive Magazine and for 2015 was ranked by CoStar as the number one net lease broker in the nation. 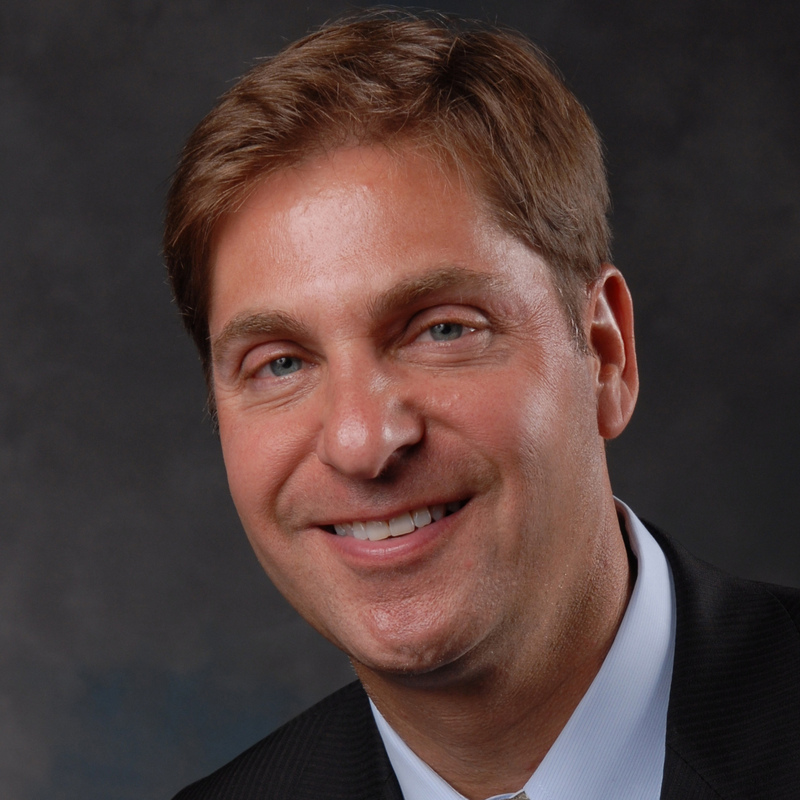 A well-known member of the Chicago real estate community for more than 25 years, Danny Nikitas joined Avison Young in 2014 as a Principal and Managing Director of the Chicago office. Danny oversees continued growth and development in the Chicago region, taking the lead on recruiting and continuing to work with clients to solve their real estate issues, and partnering with all of the other Principals to further build the Avison Young brand in the Midwest. 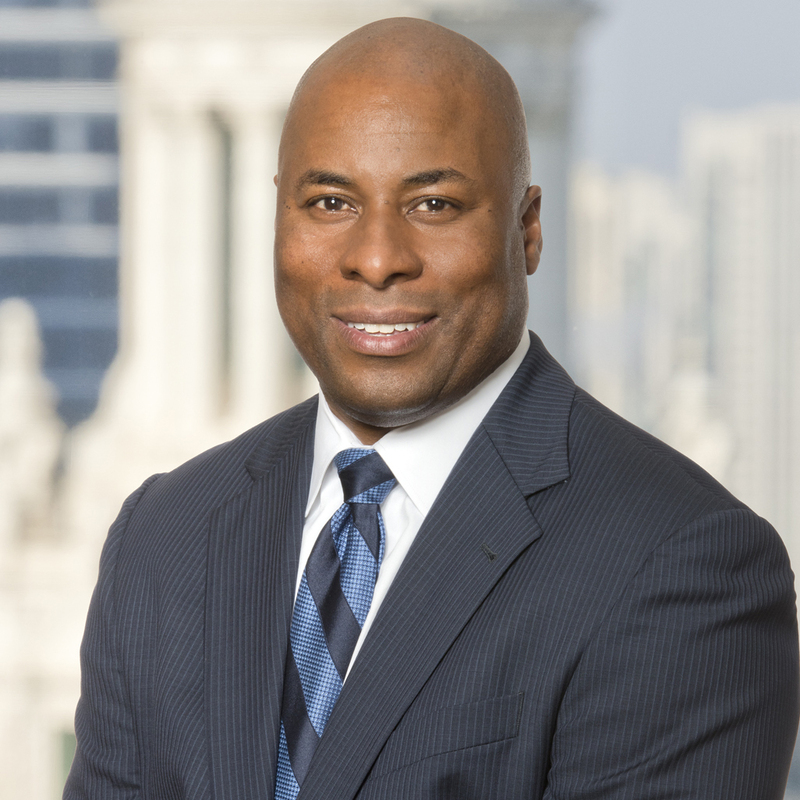 In recent years, Dave Burden has become a leader of the Chicago Corporate Solutions Team specializing in tenant representation and strategic real estate advisory services for Fortune 500 companies, middle market corporations, financial services companies, education companies and law firms. His integrity and entrepreneurial energy inspires teammates to solve problems with distinction. 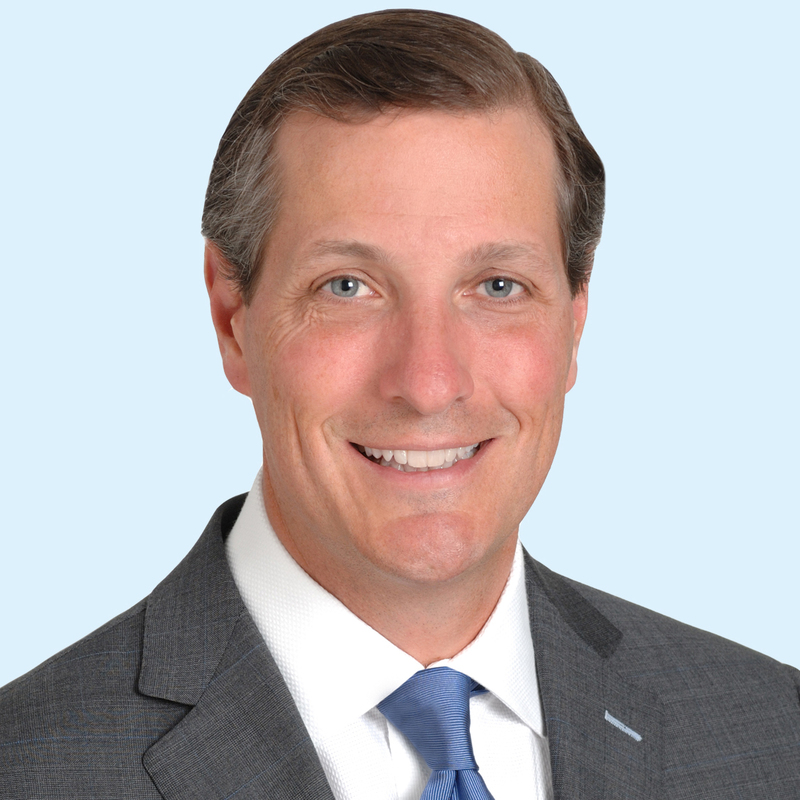 He has achieved the honor of Colliers Everest Club (in recognition of the company’s top producers) each year since 2009, and was the top producing professional for Colliers Chicago in 2010 and 2014. 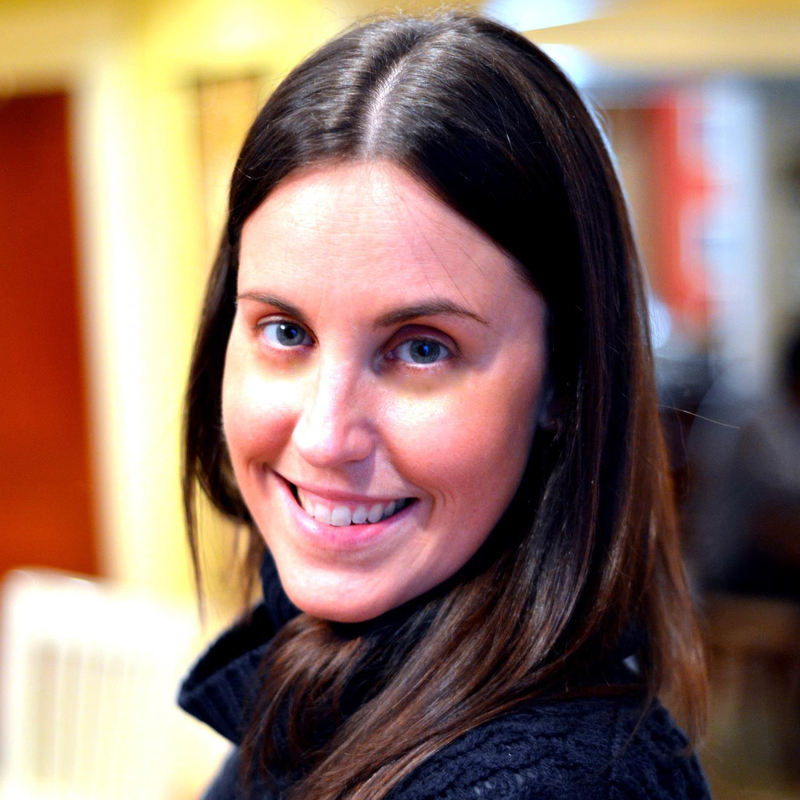 Caroline Linton is a tax manager with Shepard Schwartz & Harris LLP. 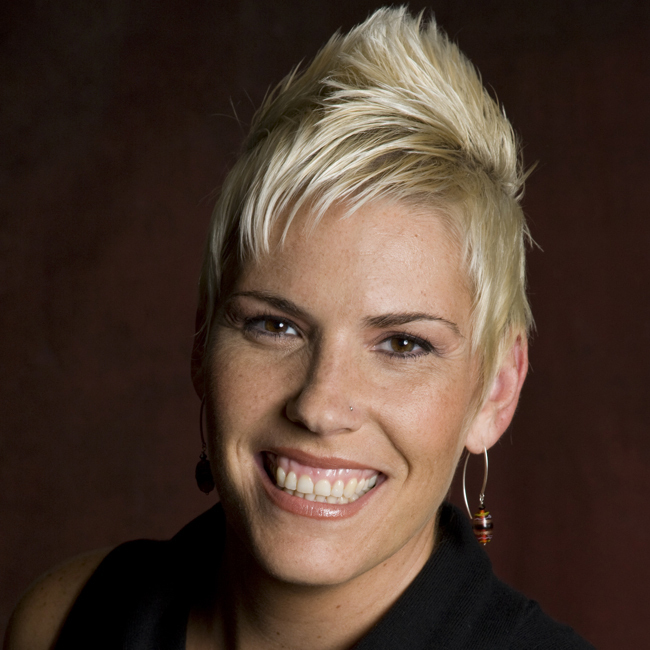 She specializes in providing planning and strategic guidance to closely held businesses and their owners. Caroline has extensive experience working in real estate, and focuses on managing the always changing needs of her clients in this industry. Caroline’s knowledge and experience in this sector allow her to serve as a trusted advisor to her clients, guiding them through decisions to realize the maximum potential benefits of their companies and investments. 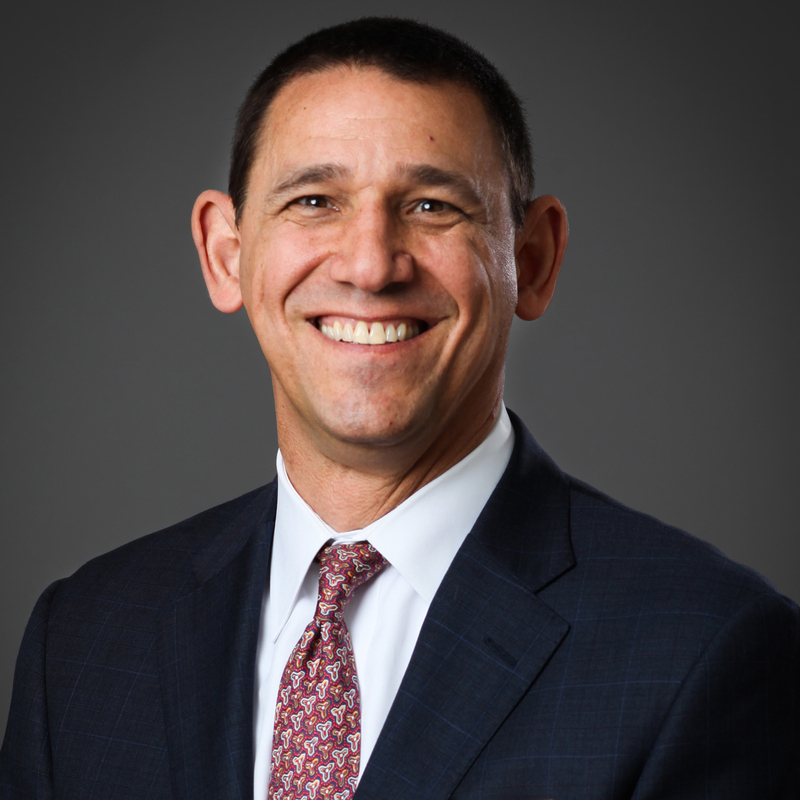 Marc A. Boorstein, CCIM, is a principal of MJ Partners. One of the foremost experts in the self-storage industry, Boorstein is responsible for orchestrating the disposition and acquisition of self-storage facilities for operators, investors, and lenders nationwide. 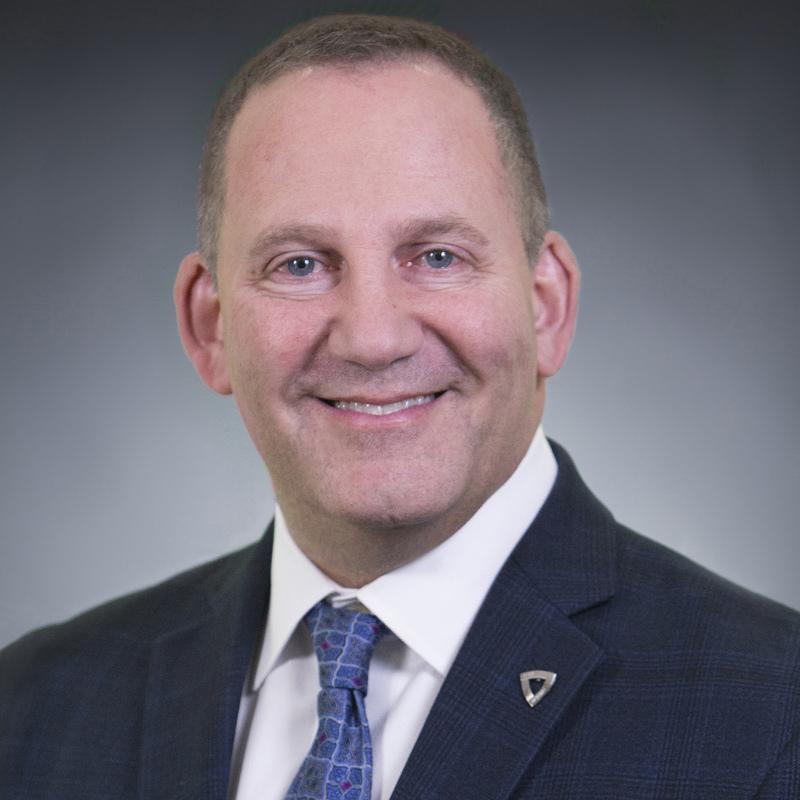 He is a celebrated keynote speaker at National Association of Self-Storage conventions, and has a long-standing affiliation with the Chicago and National Association of Realtors. He is a graduate from the University of Illinois, and the London School of Economics and Political Science. John B. Hasse is a co-owner of Hasse Construction Company, Inc. The company was started in 1920 and John is the third generation to operate the business. He joined Hasse Construction in 1990. John graduated from Purdue University, West Lafayette with a BS in Civil Engineering. He then worked for a consulting engineering firm in Itasca, Ill. John is a licensed professional engineer in the states of Indiana and Illinois. Don Stewart is the Sr. Vice President of Property Management and Operations for Inland Commercial Real Estate Services LLC overseeing a diverse portfolio of retail and other commercial assets. He has been with the Inland companies since 2005 and is an industry veteran with over 17 years of experience including prior roles with Sears and Factory Card & Party Outlet. Additionally, Don has been an instructor with the International Council of Shopping Centers. As President of Path Construction Company, Richard Krause’s career includes more than 35 years of extensive experience in multiple construction sectors. As a former Vice President and 26-year veteran with Walsh Construction, Krause was directly responsible for all aspects of the business including construction operations and new market expansion. Krause now leads Path nationwide, building for a very diverse clientele. 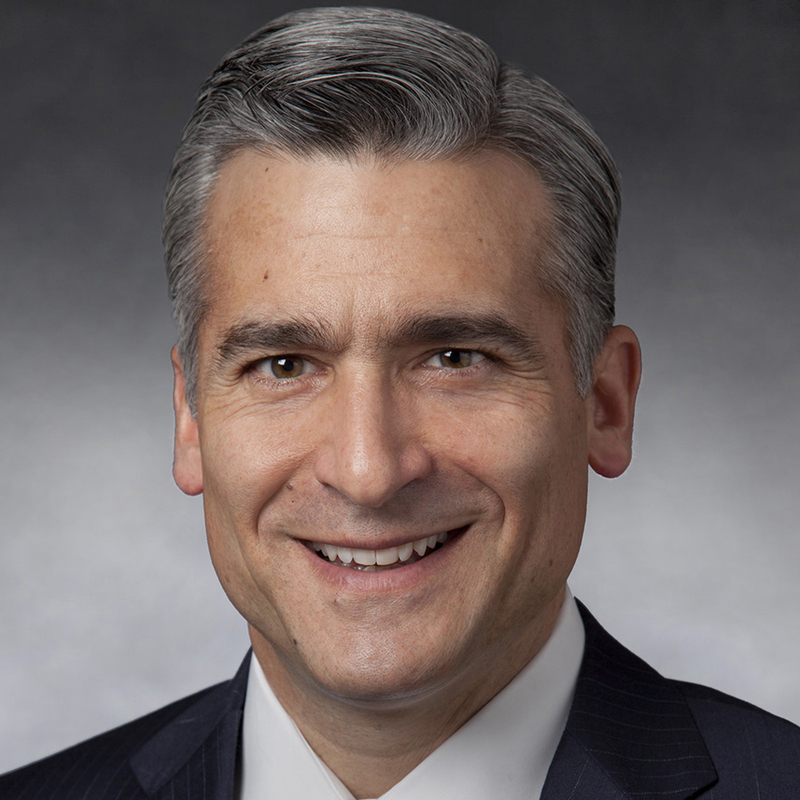 John Murphy is Senior Vice President and Chicago Relationship Manager for PNC Real Estate. He is responsible for advising private and public real estate companies, REITs and funds with respect to their capital and banking needs, as well as originating commercial real estate loans. John has originated nearly $2 Billion of real estate loans across all property categories and in locations throughout the U.S. John is responsible for the management and growth of a $1 Billion + CRE portfolio consisting of unsecured credit facilities and secured project financings. Don Shapiro has over 33 years of full-service commercial and residential real estate expertise with the following property types: office; retail; industrial; multi-family; manufactured home communities; student housing; medical; flex office; parking garages; recreational properties; hospitality; condominiums; senior housing/hospitals, gas stations as well as mixed/multi-use property, vacant land for agriculture use and 15MM SF of new development. Don is a CPA, who began his career at Arthur Young. 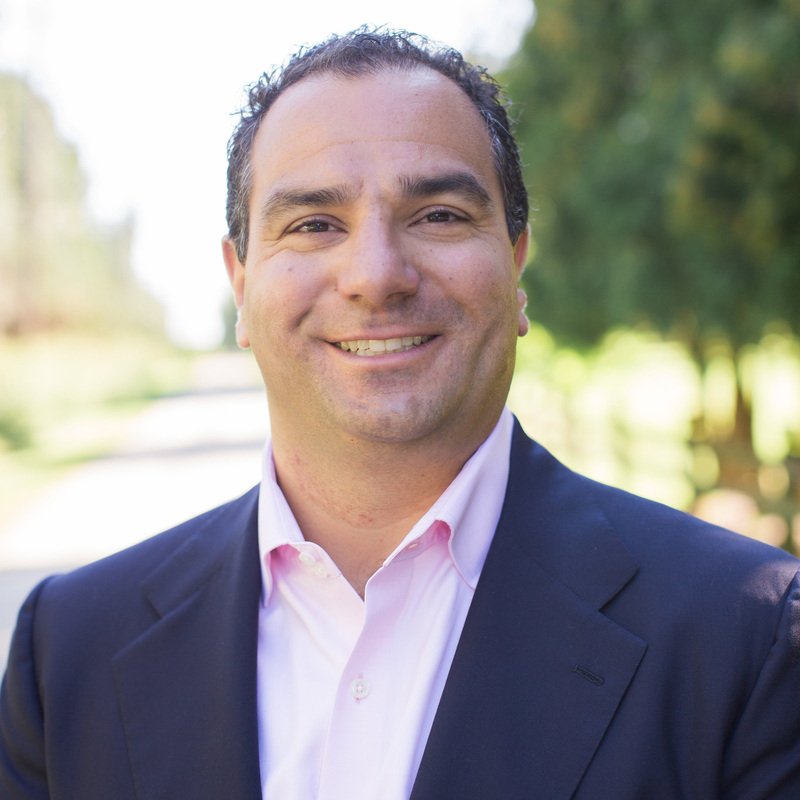 Anthony Pricco, President/Partner of Bridge Development Partners, is responsible for the company’s ongoing management and growth nationally. Pricco joined Bridge in 2007. Prior to Bridge, he served as Vice President for McShane Corporation. 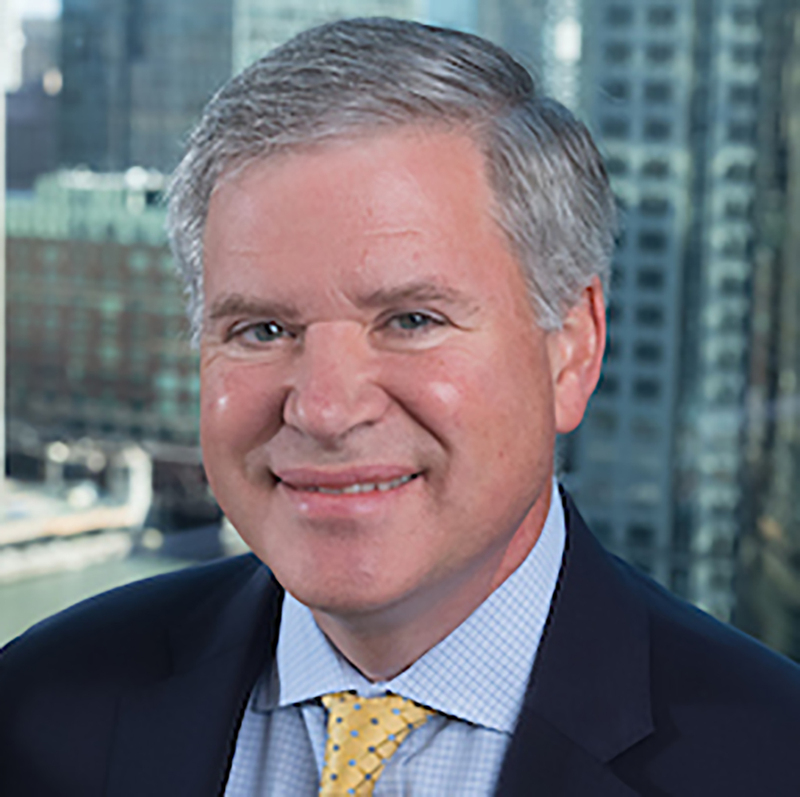 Pricco is a member of NAIOP and currently serves on the National Board of Directors in addition to his involvement with the Chicago Chapter, of which he was President in 2009. 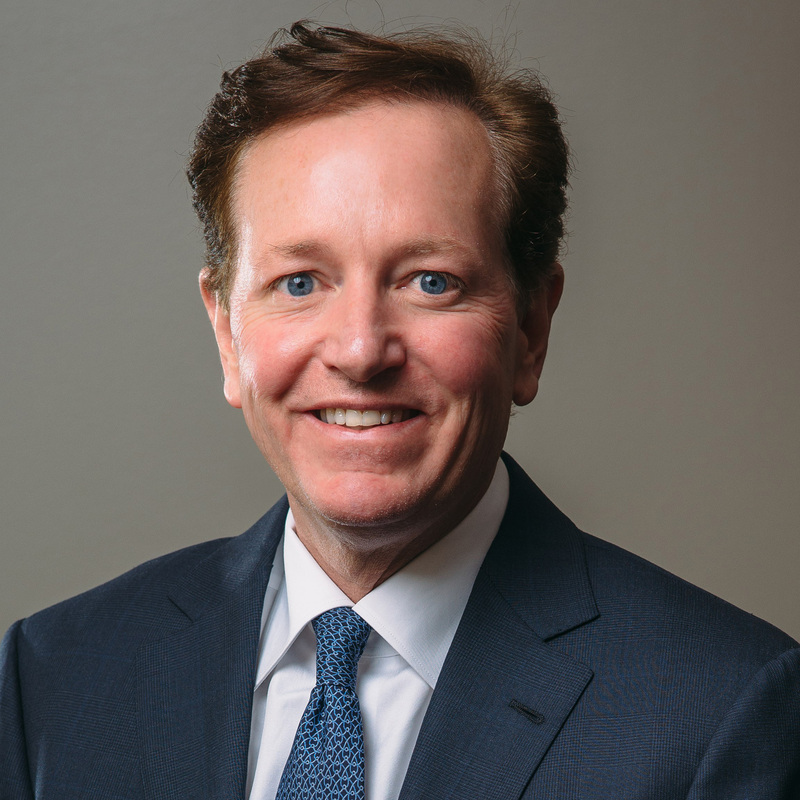 Larry Kilduff is an Executive Vice President for JLL’s Retail group and supports three key platforms: the Midwest Retail Capital Markets group, Regional Retail Development for the Central U.S., and serves as the Midwest Market Lead (overseeing brokerage and management). He leads investment sales, brokerage, and business development efforts for investor and occupier and retailer clients. Kilduff has more than 25 years of experience in investment sales, development, asset management, acquisitions/dispositions, workouts, site selection and government relations. 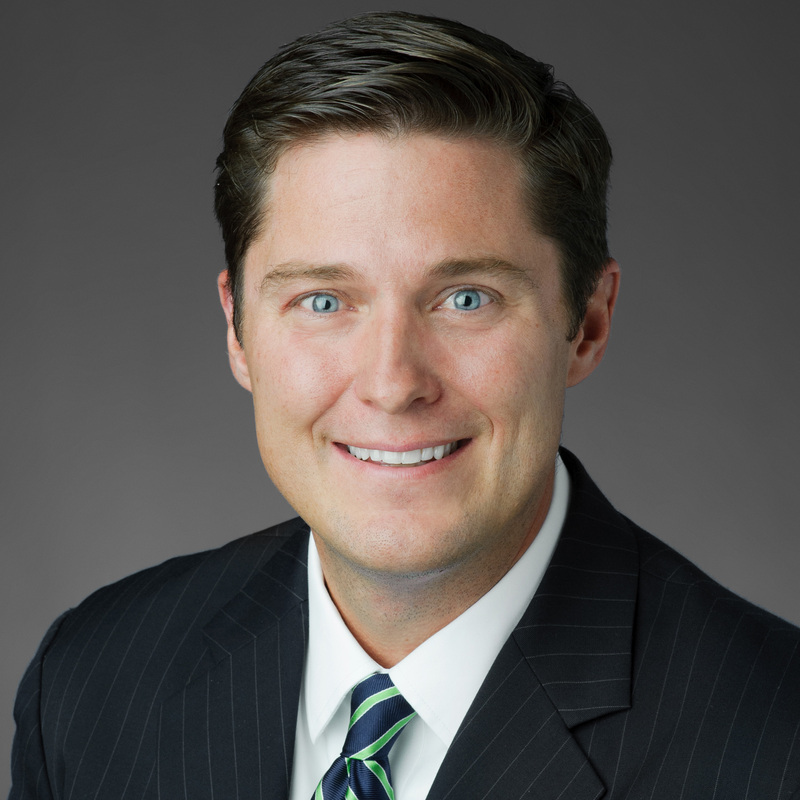 Dan Deuter joined CBRE’s Capital Markets - Institutional Properties in 2012. Deuter has 20 years of commercial real estate experience as both a principal investor and an advisor to institutional owners. Previously, Deuter worked for 12 years with Pearlmark Real Estate Partners (formerly Transwestern Investment Company) where he was responsible for originating, negotiating, and closing value-add equity and high-yield debt real estate investments for various private equity investment vehicles. 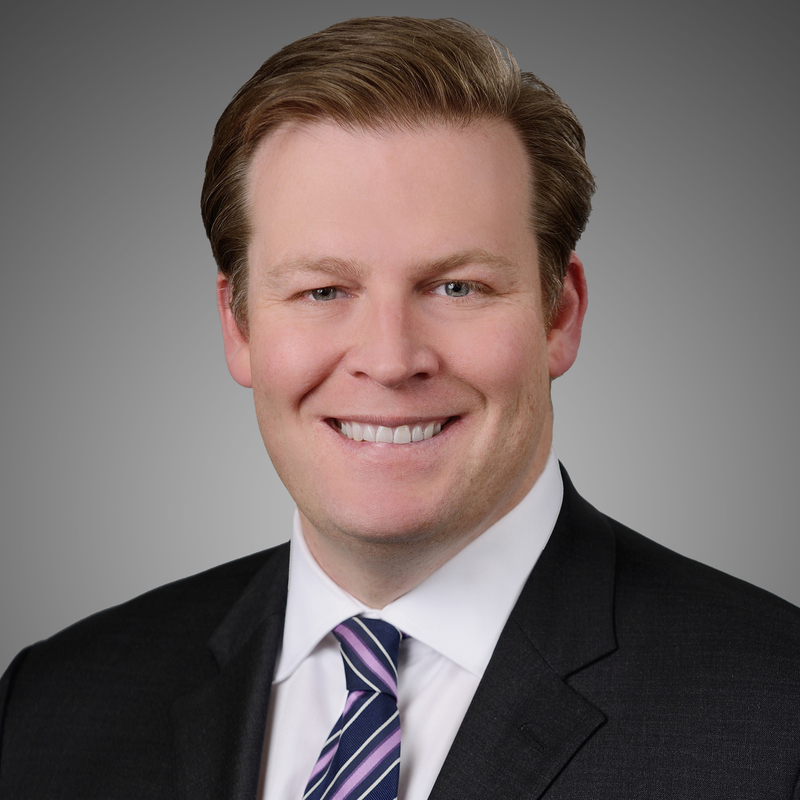 Drew Nieman is an Executive Vice President in CBRE Chicago’s Agency Leasing group, joining the firm after the 2014 acquisition of U.S. Equities Realty. An industry veteran with extensive local and international experience, Drew brings substantial expertise with large-scale downtown office leasing to his role. A three-time recipient of the Chicago Office Broker of the Year award, Drew’s career includes some of the largest and highest-profile anchor tenant transactions completed in downtown Chicago. Since Charles (Charley) S. Margosian III joined Highland Management in 2005 in the capacity of acquisition and development manager, Highland Management has more than doubled the number of assets in its owned portfolio. Working together with other team members, Margosian is responsible for lease negotiations, property and asset oversight as well as sourcing and financing opportunistic acquisition and development opportunities. Prior to joining Highland Management, Charley was a Principal with Walton Street Capital. Daniel Smolensky, SIOR is a Founder and Principal of Taurus Modal Group, a commercial real estate firm focused on tenant-rep projects for office and industrial users. Previously with CBRE and Insignia/ESG, where he enjoyed being a market leader, Dan also worked at First Industrial Realty Trust, one the world’s largest owners/developers of industrial properties. Dan has completed transactions in excess of $500 million and 10 million square feet office and industrial projects. Daniel leads a team of six professionals in the Chicago office. He is responsible for the origination and placement of debt structures for development, acquisition and permanent financing throughout the United States. His clients include middle-market, high net-worth individuals and family offices, as well as, REITs and fund sponsors. Daniel has more than 12 years of commercial real estate finance experience and earned a BS in Business from Miami University in Oxford, Ohio. 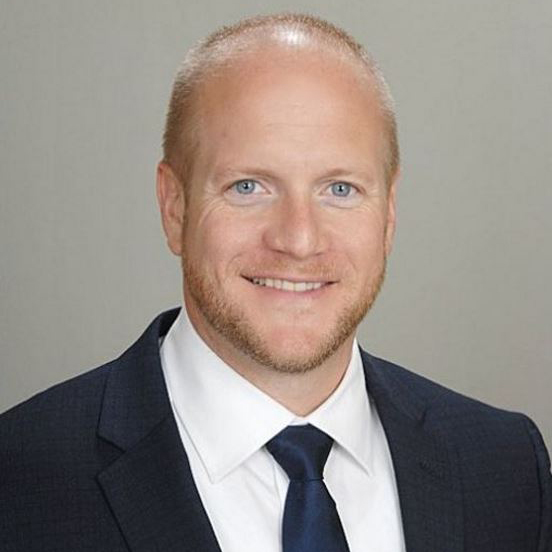 As a leader in MB Financial Bank’s commercial real estate group, Jason Costello manages a portfolio of more than $200 million in commercial real estate loans and accounts. With over 20 years’ experience in banking and commercial real estate finance, he provides comprehensive solutions for Chicago and Midwest-based real estate investors, developers, property managers, and middle market business owners to help them achieve their growth and profit objectives. 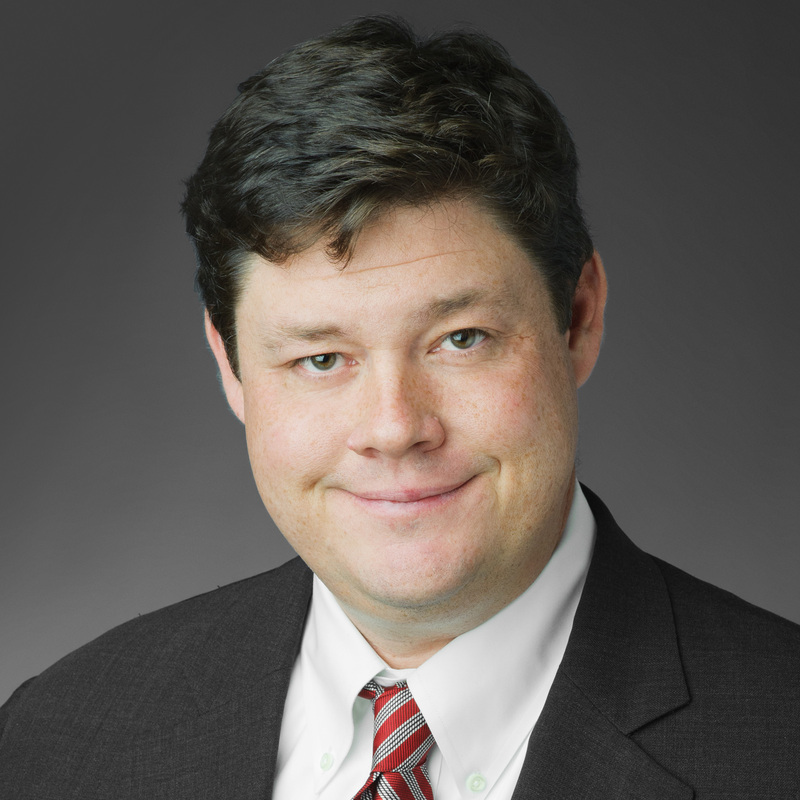 David Bradley is the Associate Regional Manager of Marcus & Millichap’s Chicago Downtown office. 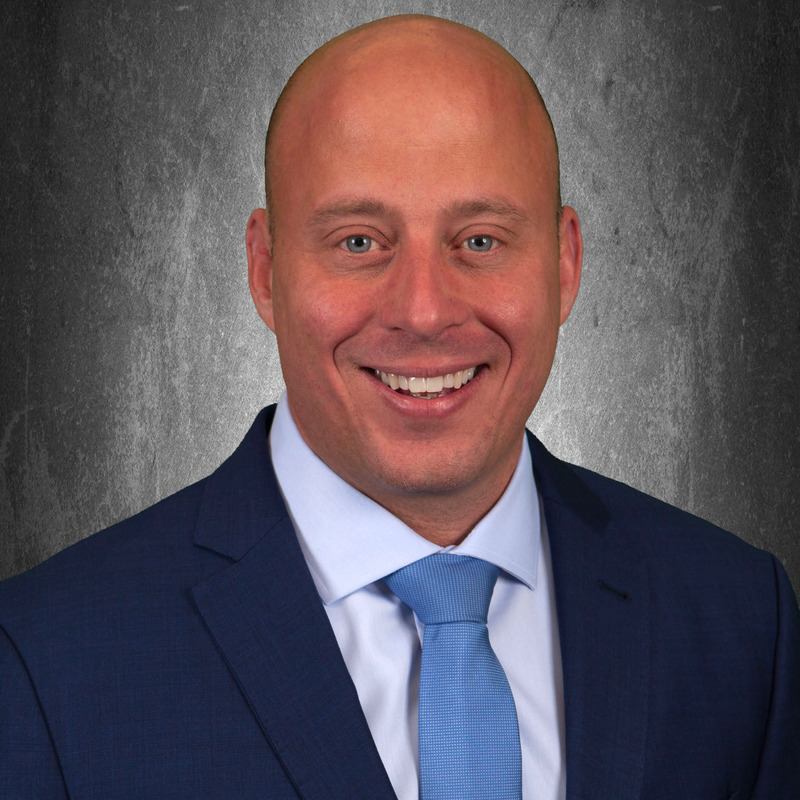 He joined Marcus & Millichap’s Fort Lauderdale office through the firm’s Sales Intern Program and became an agent specializing in multifamily property investments in March 2004. 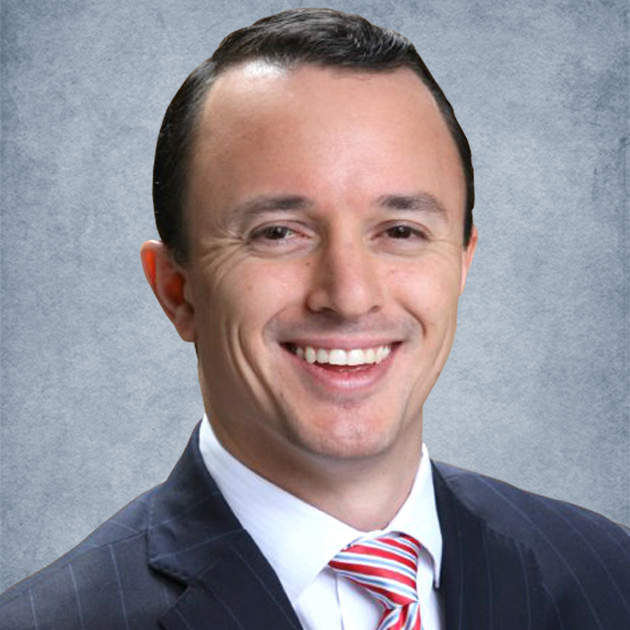 David reached the level of Senior Associate before transitioning into management in 2007. He served as the Sales Manager of the Fort Lauderdale office and was appointed to Regional Manager of the Jacksonville office in June 2008. 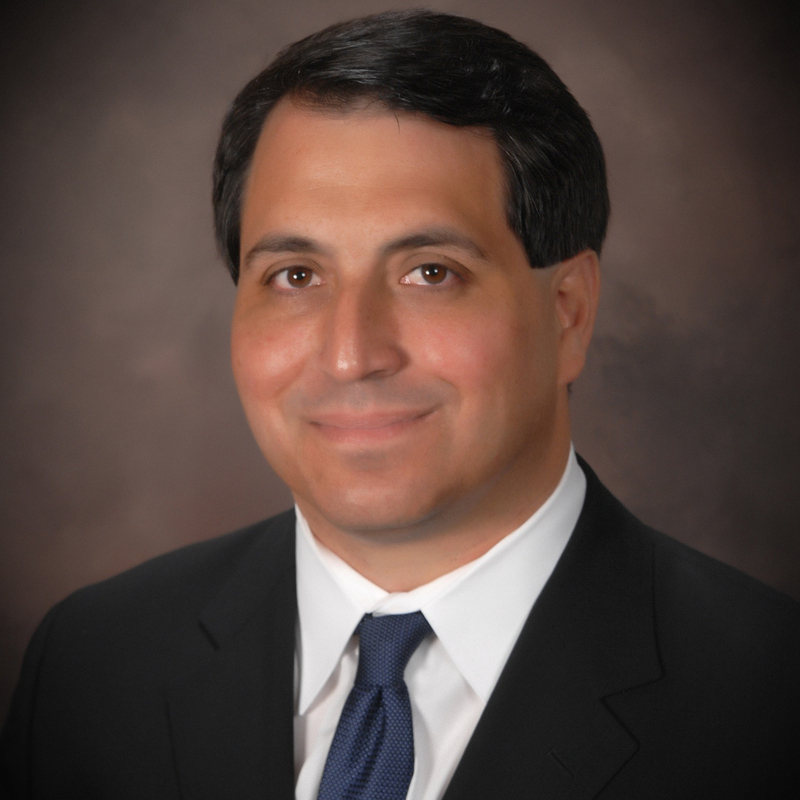 Richard Matricaria is division manager for Marcus & Millichap’s Midwest division. He was instrumental in shaping the firm’s current new agent training program and is recognized throughout the firm for his ability to coach senior agents in forming effective team architectures. He is actively involved in the International Council of Shopping Centers, the National Association for Industrial and Office Parks, the Urban Land Institute and the Best Buddies organization. 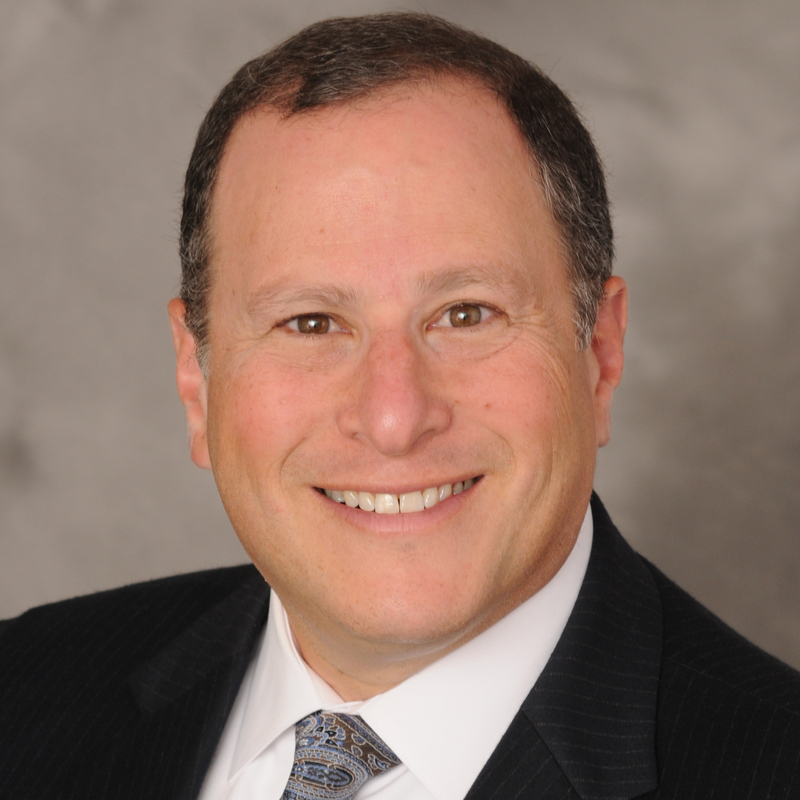 Steven Weinstock is regional manager of Marcus & Millichap’s Chicago Oak Brook office. He is also the national director of the firm’s National Land Group. Prior to joining Marcus & Millichap in 2001, Mr. Weinstock owned and operated a brokerage and property management company, which he sold in 1994. He received a Bachelor of Arts degree in psychology from the University of Michigan and a Juris Doctor from Wayne State University Law School. As a founding principal of Structured Development, LLC, J. Michael Drew has been engaged in the real estate development and construction management business for nearly 40 years. During his tenure as principal, the firm completed over 2,000,000 square feet of product including Lincoln Park Center, Blackhawk on Halsted, Kingsbury Center, and Kendall College. Structured Development is the Managing Partner on the nationally significant New City mixed use project. 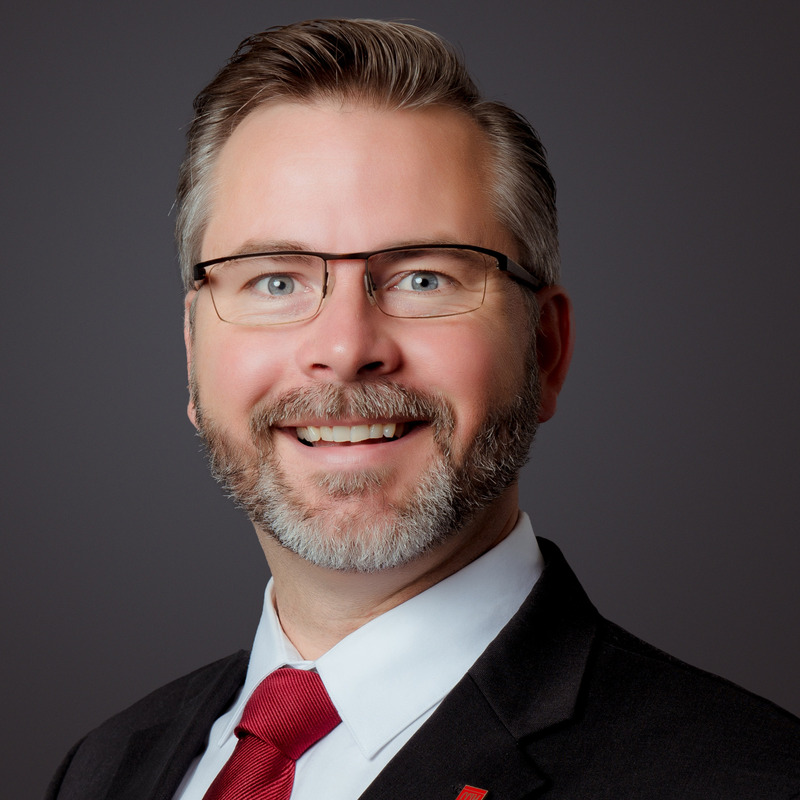 Dan has overall responsibility for JLL’s team and services in the Central U.S. Dan is accountable for the firm’s operations and business results in the Central Region, as well as developing and implementing strategic initiatives. He is a licensed Illinois real estate broker, a member of the Economic Club and the Executive’s Club of Chicago, where he serves as the co-chairman of the Real Estate Committee. 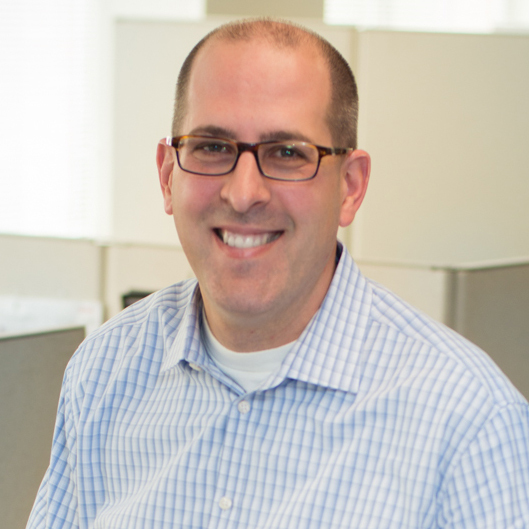 Joe Pecoraro is a project executive at Skender Construction, one of the nation’s 70 largest multifamily building contractors. He has more than 12 years of multi-unit residential construction experience, including numerous affordable housing and senior living projects. Pecoraro is a recognized leader in Lean construction, working closely with developers to ensure the most efficient, value-optimized project delivery possible. 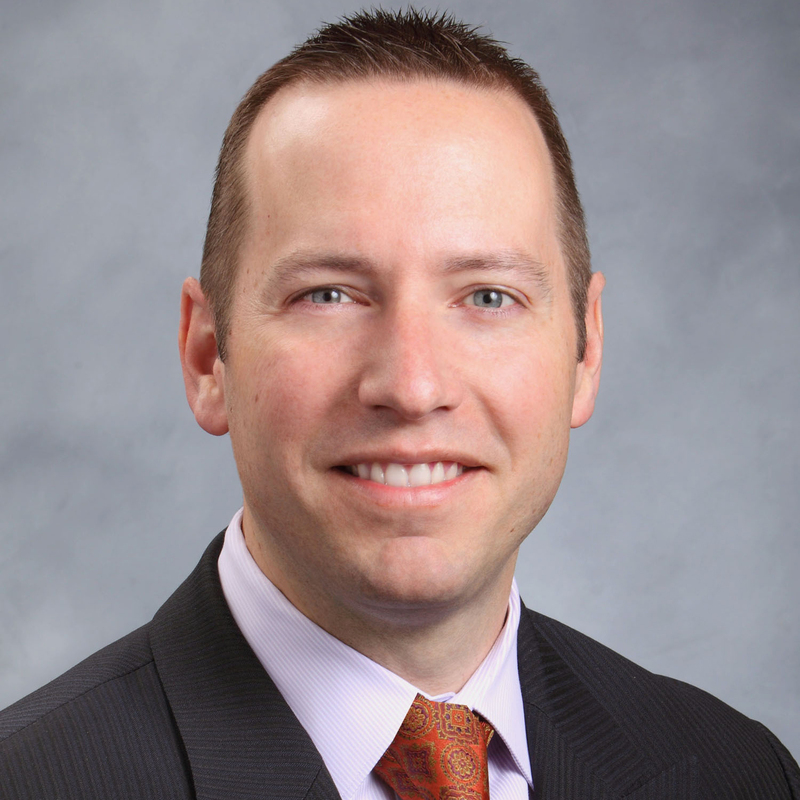 Ivan Baker, CEcD, AICP, FM, is president and CEO of the North Central Illinois Economic Development Corporation, a three-county regional marketing partnership for the Interstate 80-39 Corridor. He directs the promotion and development of 65 full-service industrial sites, business parks, and logistics parks located 90 minutes from Chicago in Bureau, Putnam, and LaSalle counties. Baker has been an economic developer and site consultant for the past 36 years, working in seven states. Kent Swanson is a real estate professional with 30 years of experience in the office, residential, retail and hotel sectors. He is currently an Executive Vice President and member of the Investment Committee of Riverside. Previously, he was CFO of Newcastle Limited. 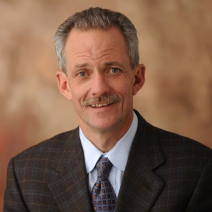 He also had a 19-year tenure at The John Buck Company, rising to Principal and CFO. His responsibilities included the initial setup and marketing of The JBC Funds and the negotiation and startup of JBC’s Abu Dhabi based joint venture. Jim Letchinger founded JDL Development in 1993 and to date has developed more than 1,200 residential units with another 1,500 currently preparing to be in construction. He launched his development career with a conversion of a 1940’s Benjamin Marshall building at 210 E. Walton St. in Chicago where he transformed 21 apartments into five unique residential condominiums. Mr. Letchinger quickly became known as one of Chicago’s most creative and respected residential developers, specializing in urban development. 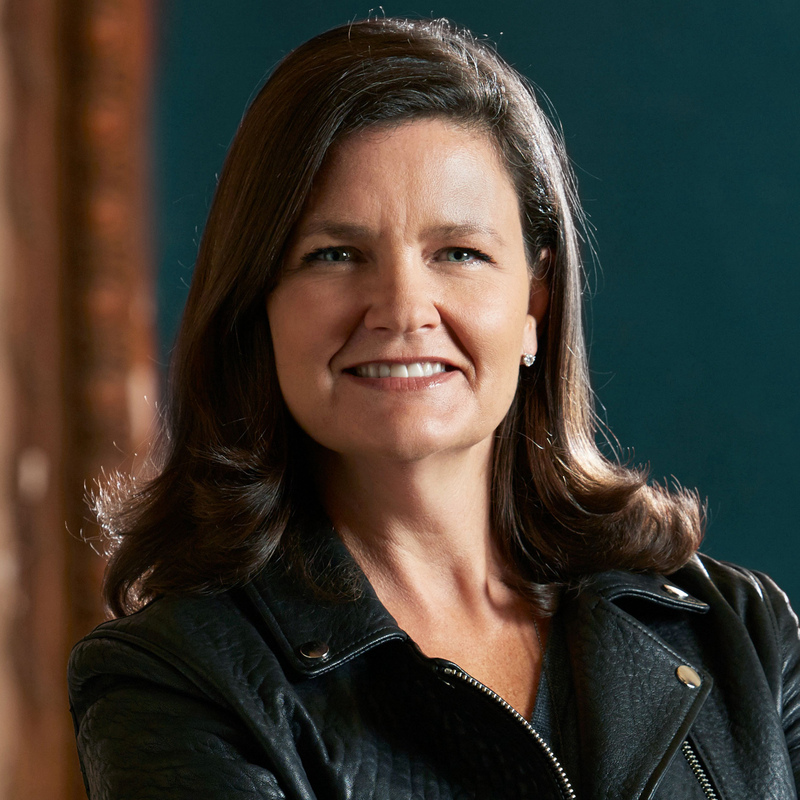 Lori Healey is Chief Executive Officer of the Metropolitan Pier and Exposition Authority (MPEA), owner of McCormick Place, Navy Pier and the Hyatt Regency McCormick Place. The Authority’s activities generate nearly $2 billion annually into the economy and supports more than 15,000 jobs. In her role as CEO, Ms. Healey oversees the development of the McCormick Collection which includes the new 10,000-seat Wintrust Arena and the 1,205-room Marriott Marquis Chicago hotel, both completed in 2017. 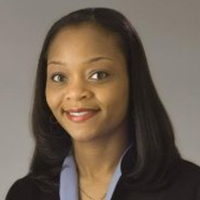 Keating Crown serves as a Principal at Sterling Bay Companies, LLC. Crown is focused on the 1000 West Fulton Market redevelopment. Prior to this, he served as a Director of Development at Tishman Speyer. 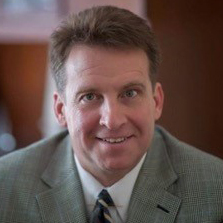 He serves as a Director of National September 11 Memorial & Museum at the World Trade Center Foundation, Inc. In 2014 Crown was featured as a member of Crain’s Chicago Business’ 40 Under 40.